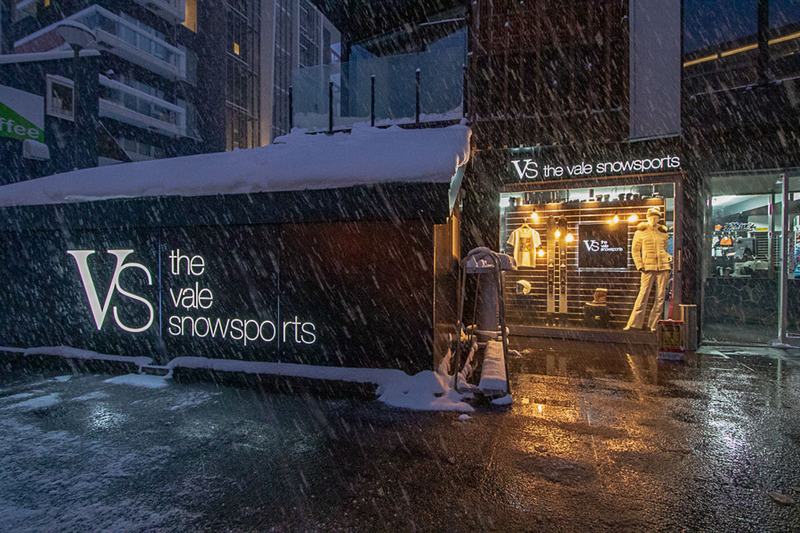 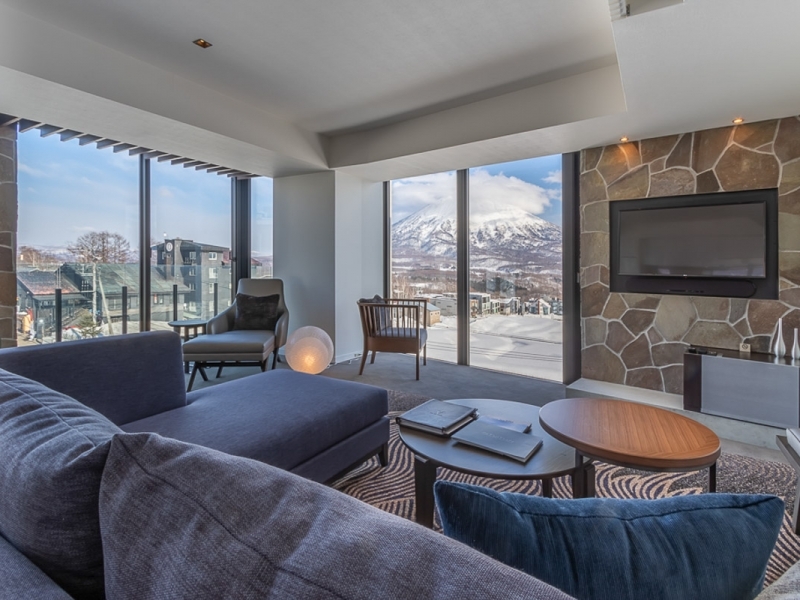 The Vale Niseko’s ski-in, ski-out location delivers 2100 acres of sublime powder terrain and all village amenities literally to your doorstep. 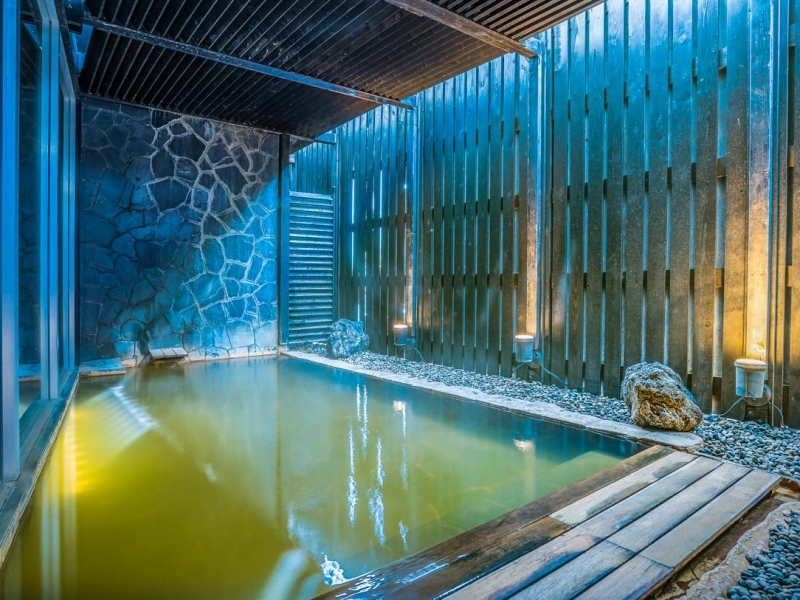 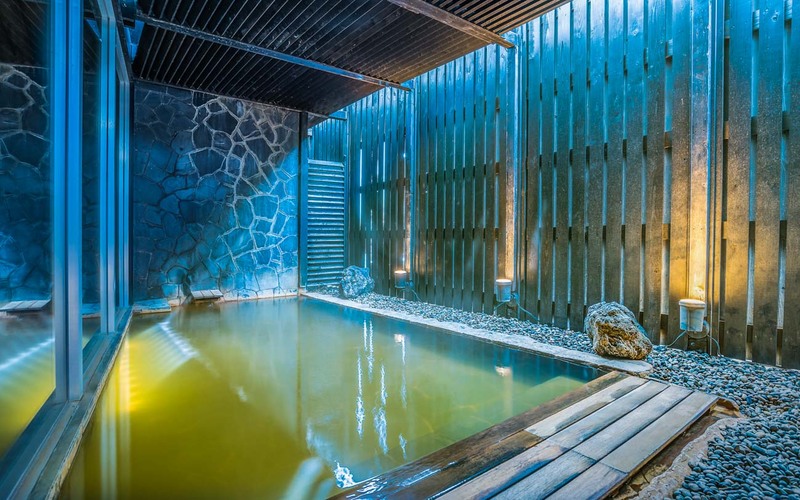 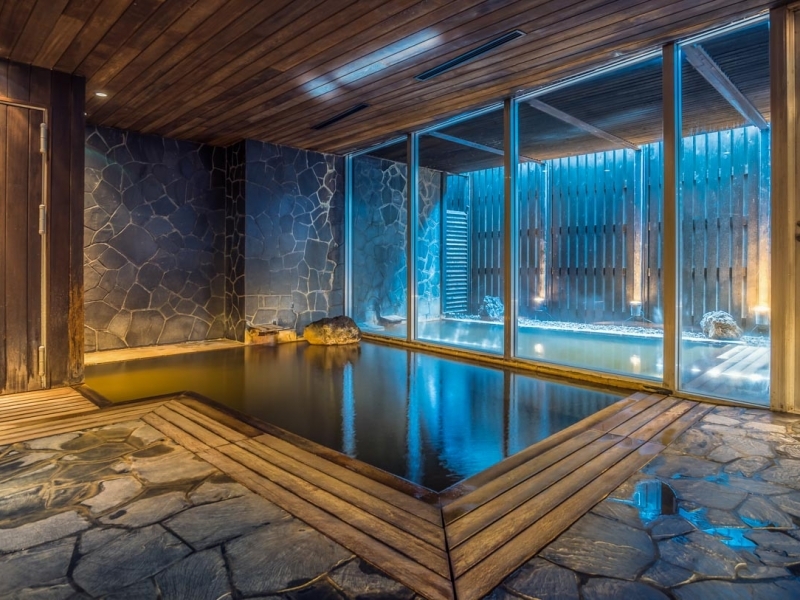 The site sits above an existing onsen from which the natural hot water is used to supply heating, water to private and public onsens throughout the building. 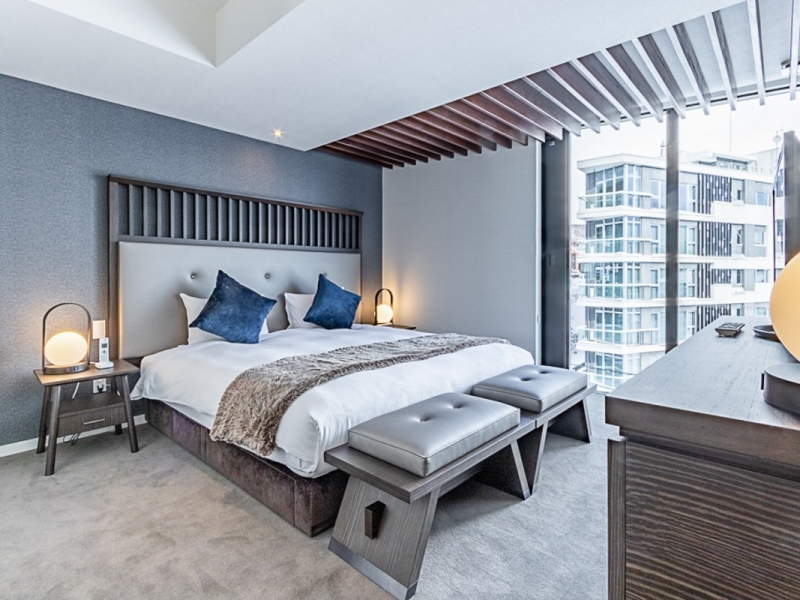 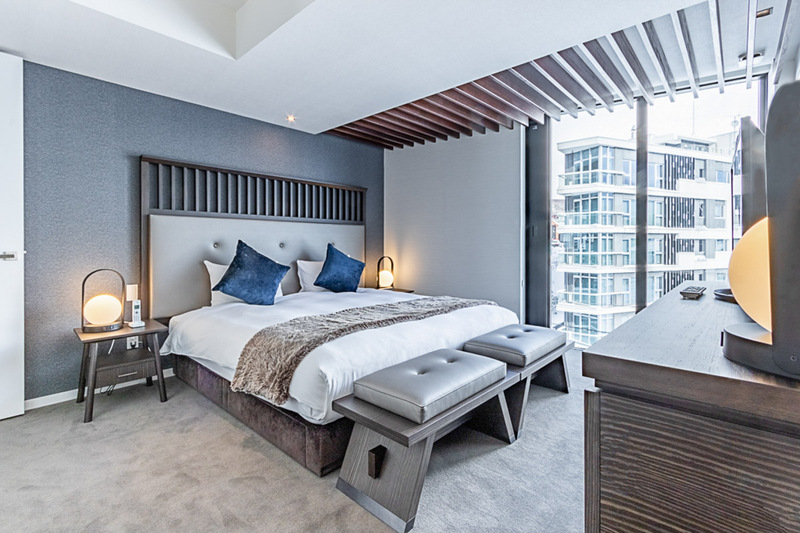 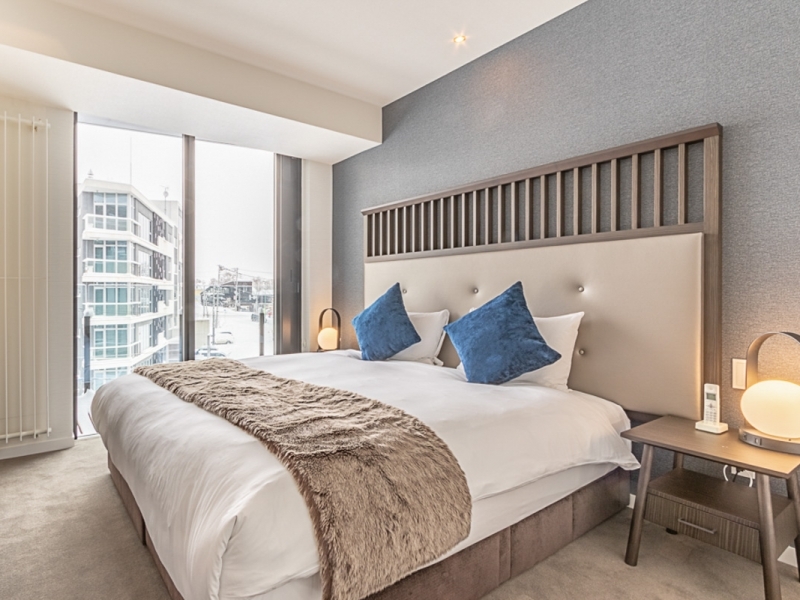 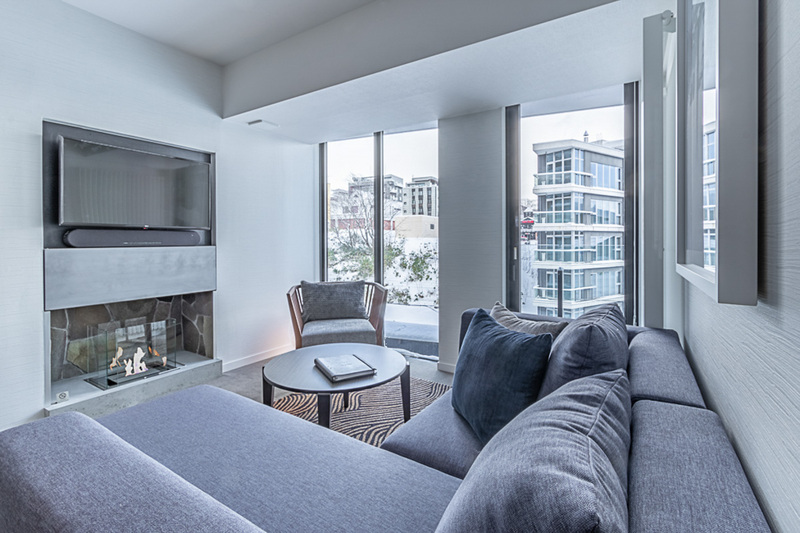 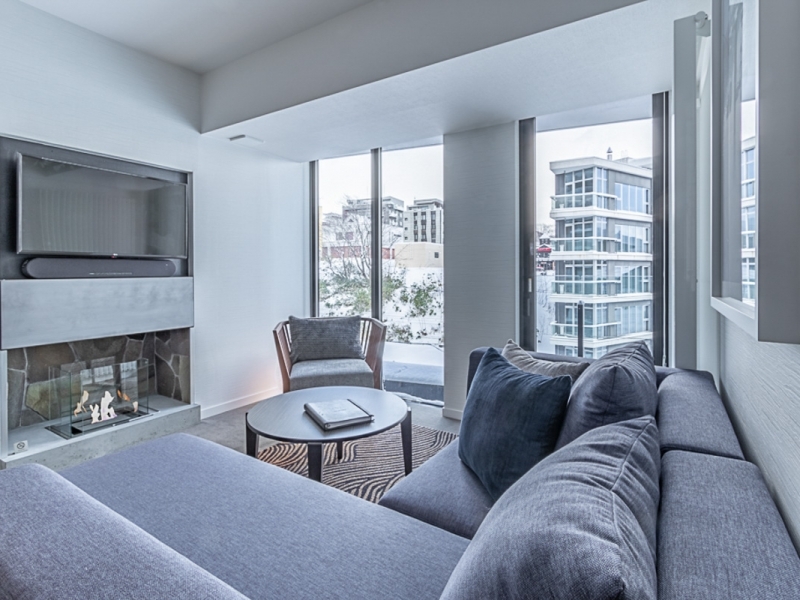 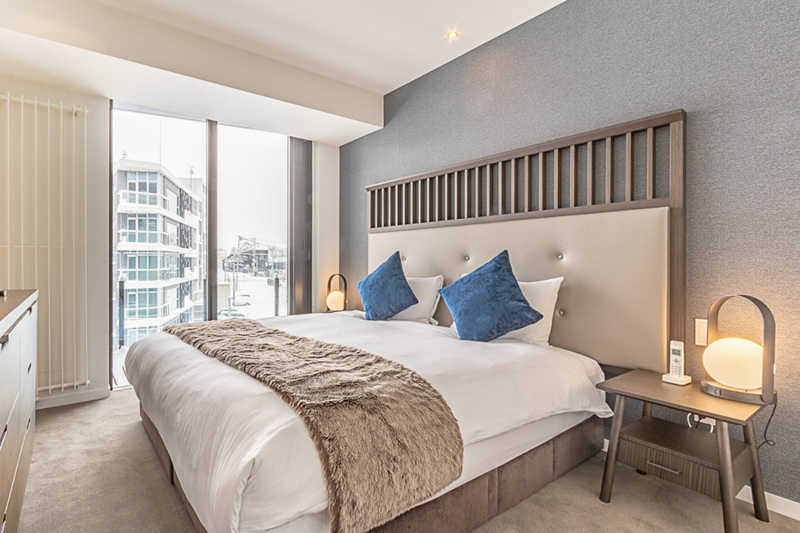 Comprised of 49 one, two and three bedroom accommodations, guests can enjoy the comfort and spaciousness of fully equipped luxury apartments packaged with the amenities of a 5-star hotel. 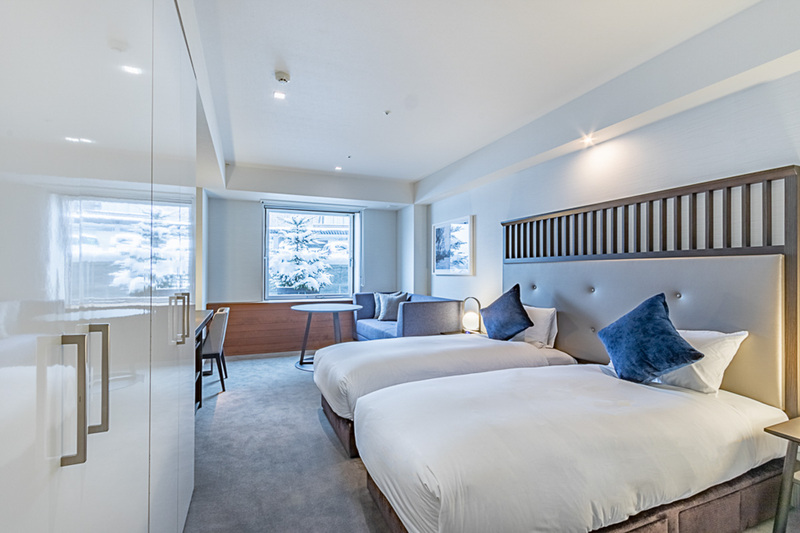 Guests can relax with a Vale cocktail by the heated pool, soak away the day in the rich mineral waters at The Vale Onsen, relive the deep snows of the day over dinner at the Vale Bar and Grill, sink into the lounges enjoying the flames of fire… or just retire and ease into slumber on pillow-top feather beds. 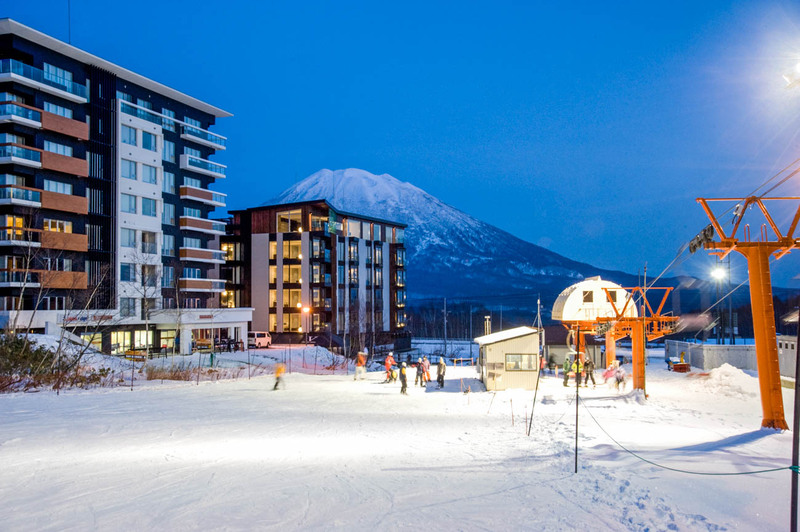 The Vale Niseko is located at the bottom of Upper Hirafu Village, the bustling heart of Hirafu. 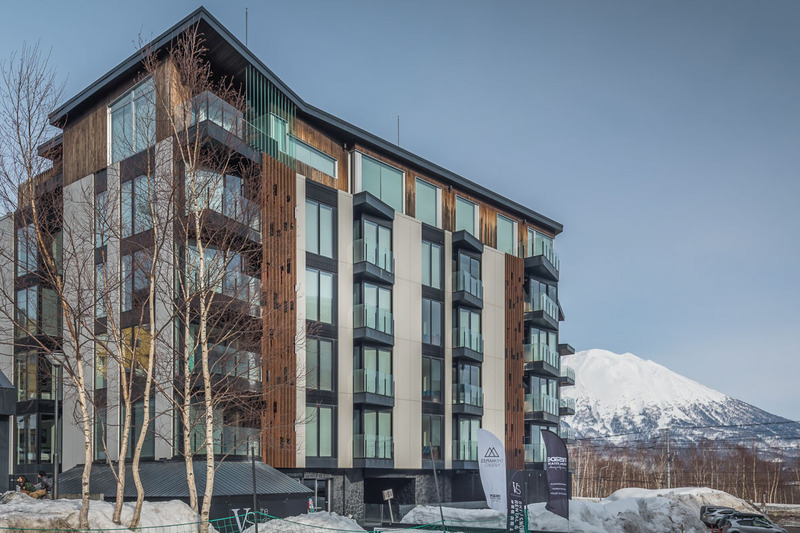 Alongside the ski slope and with everything from restaurants, bars, convenience stores, wine cellars, ski schools and rental shops all close by, location really doesn’t get any better. 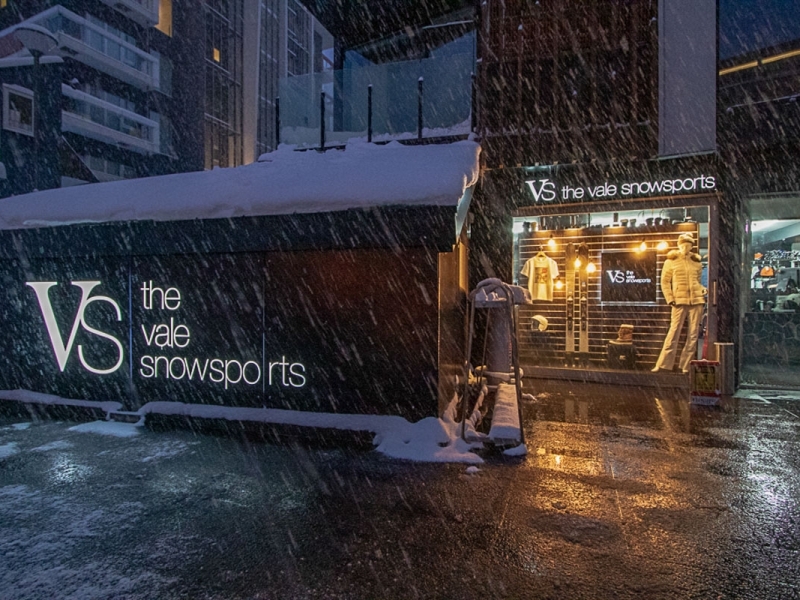 The ski lifts are out the ski locker room onto the family slope, or out the front door and onto a bus to any other lift in the village. 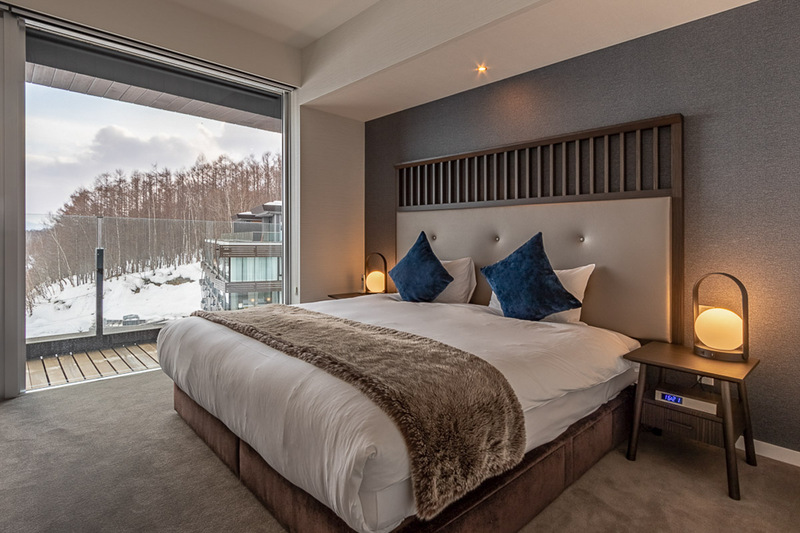 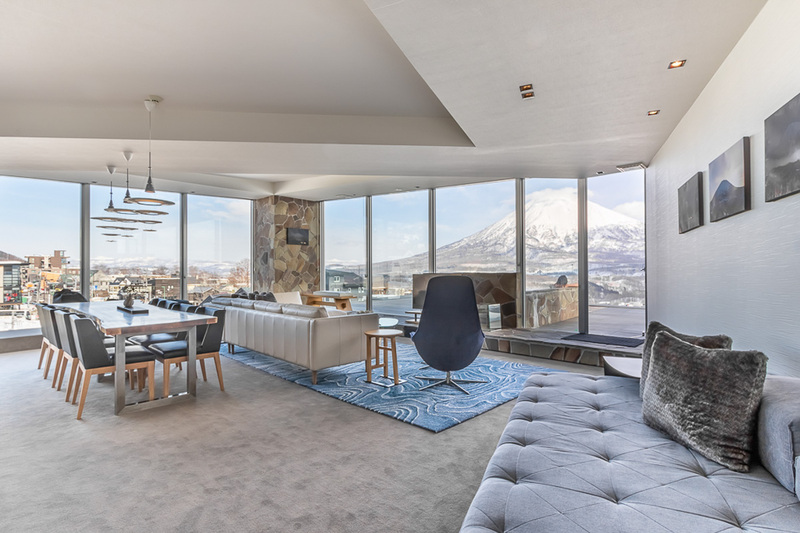 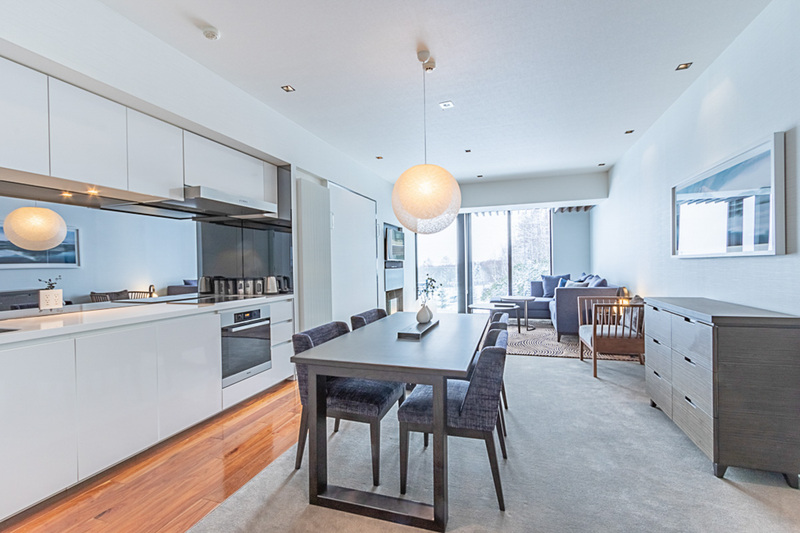 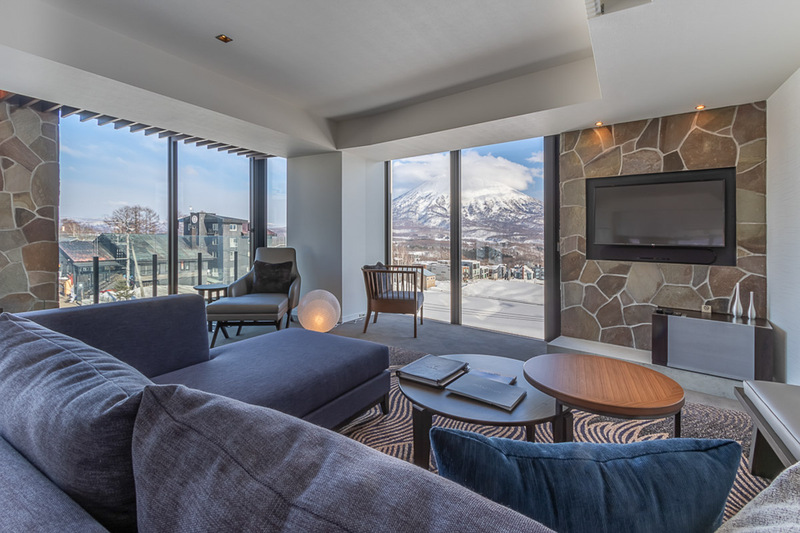 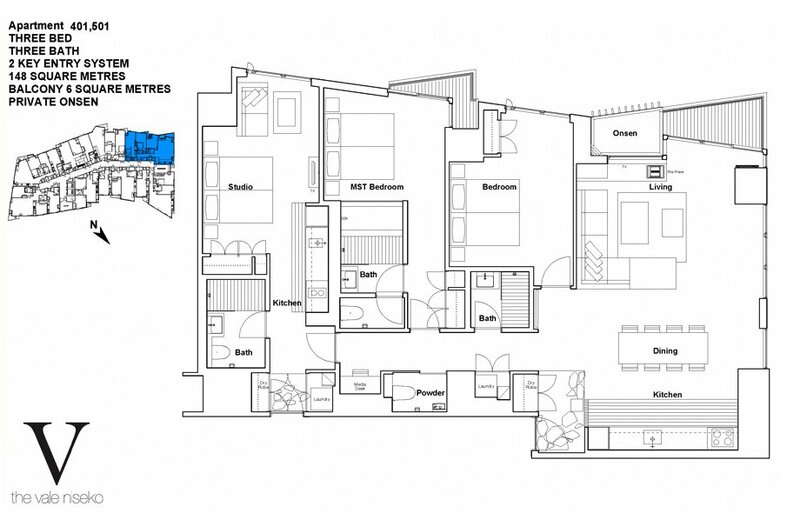 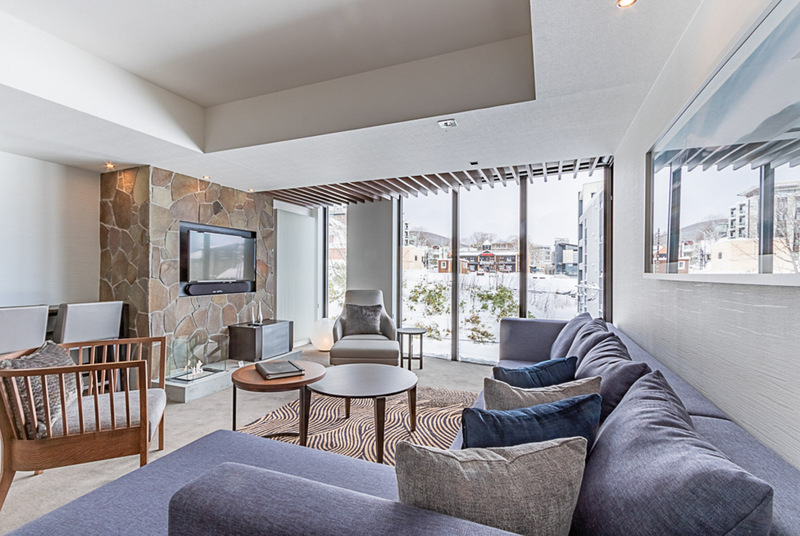 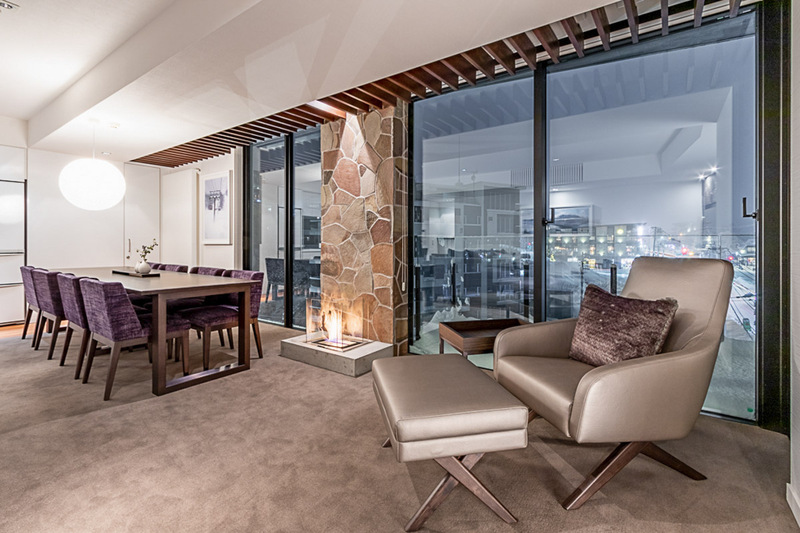 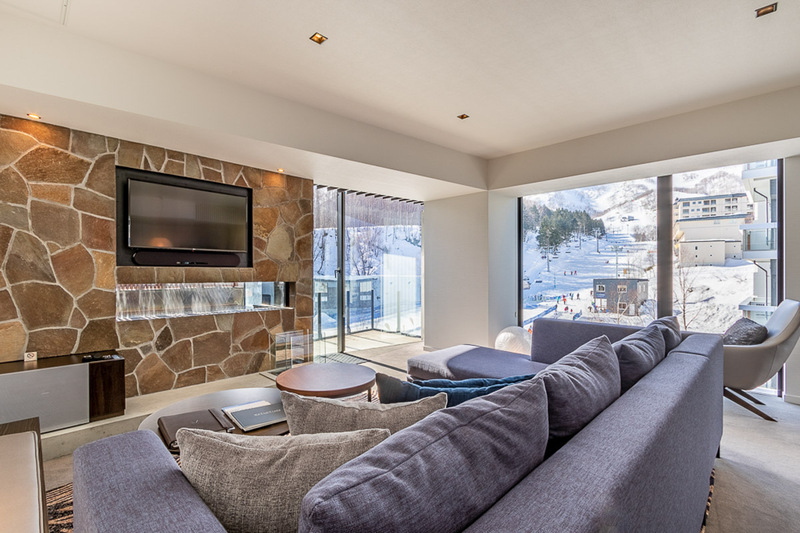 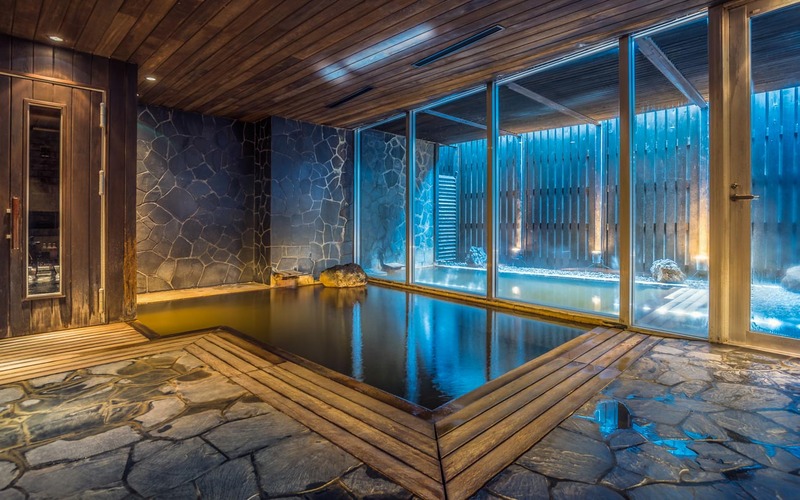 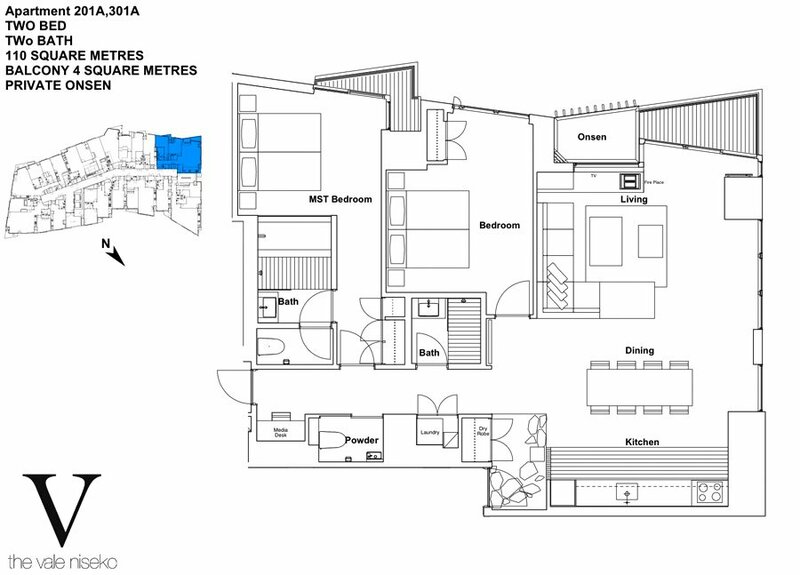 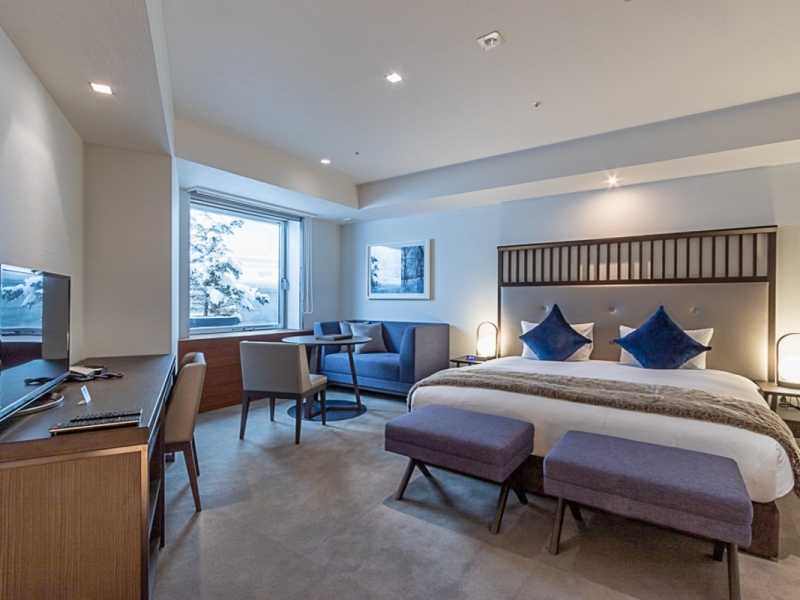 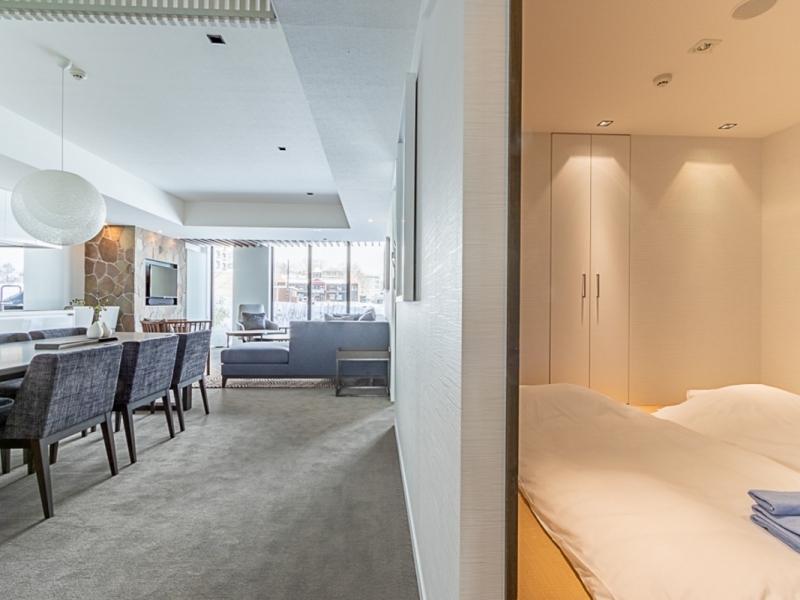 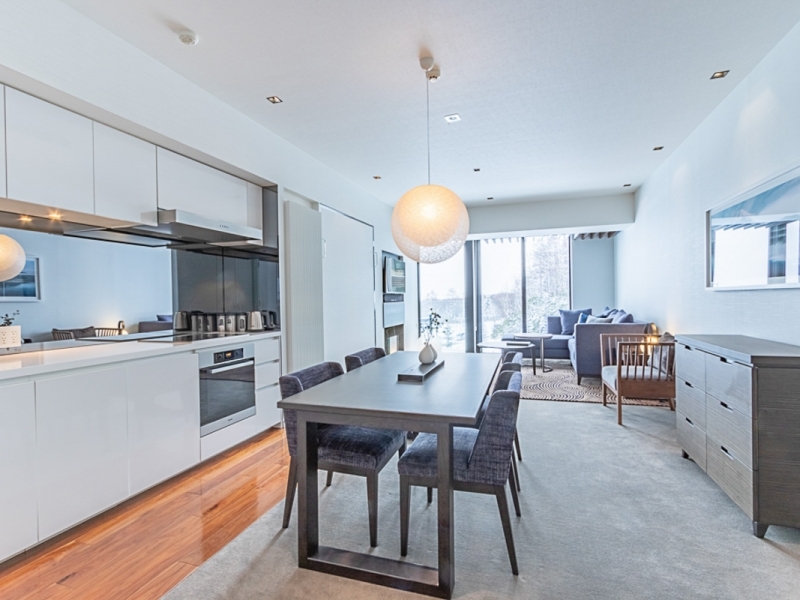 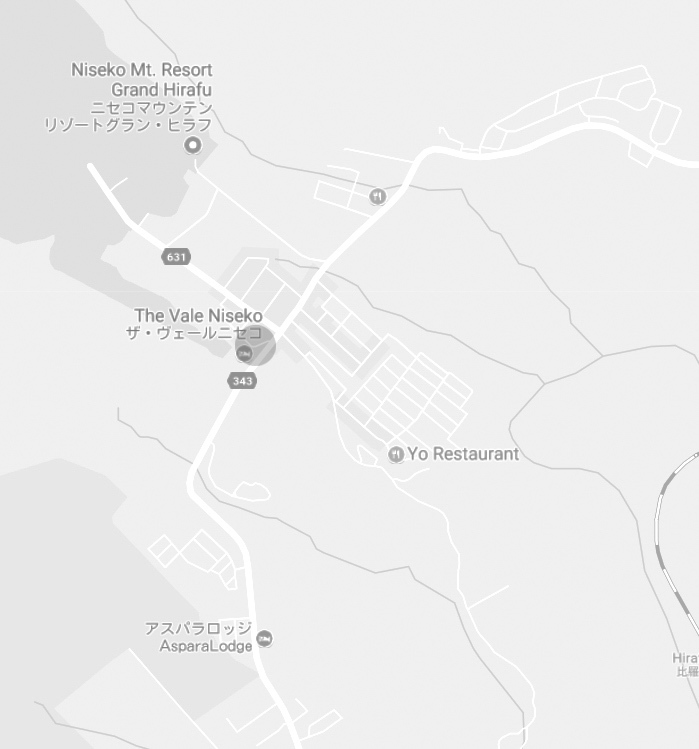 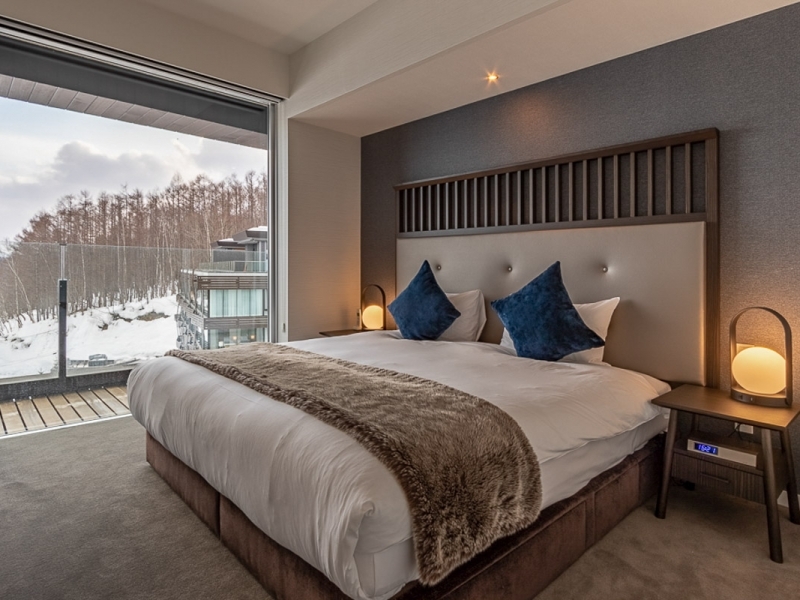 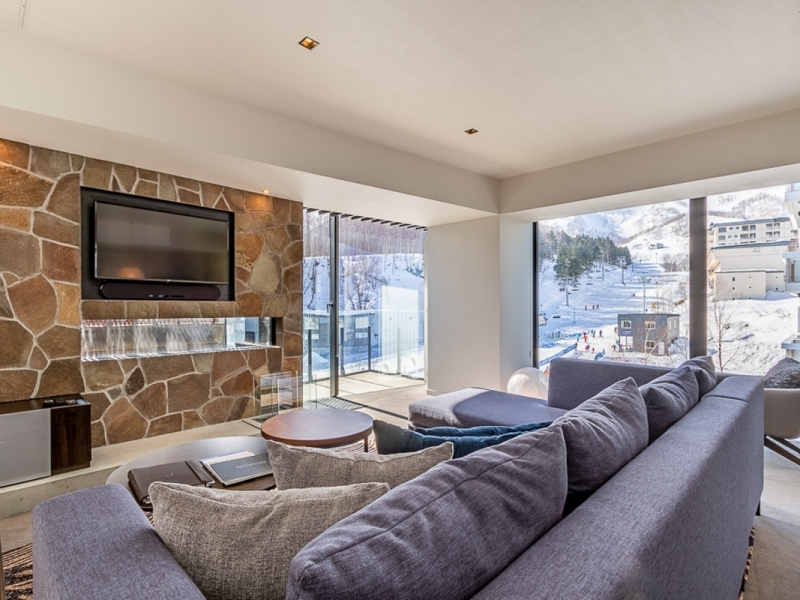 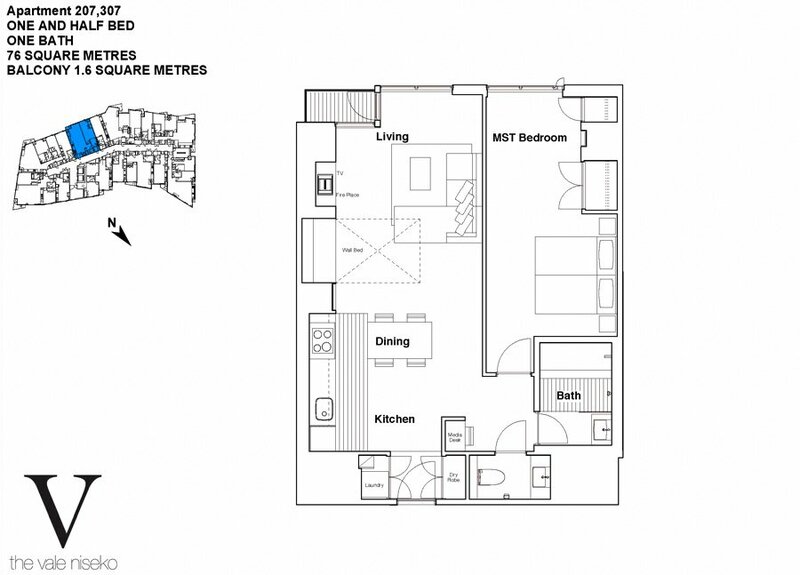 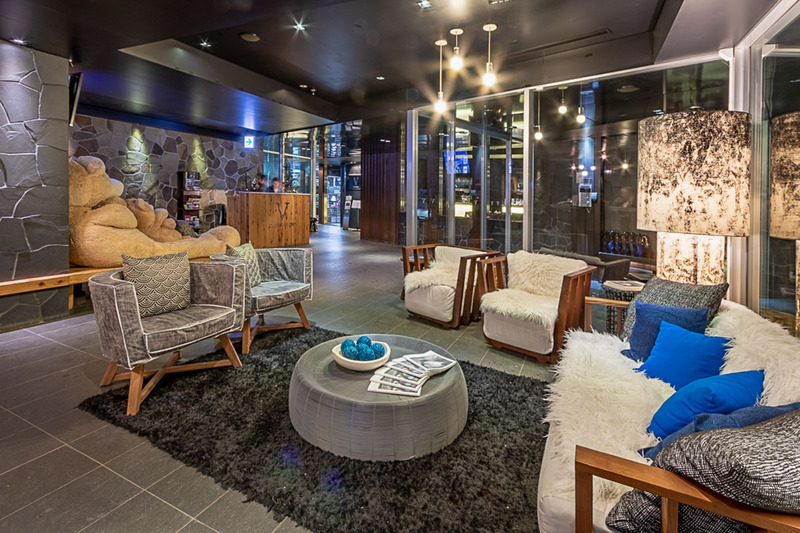 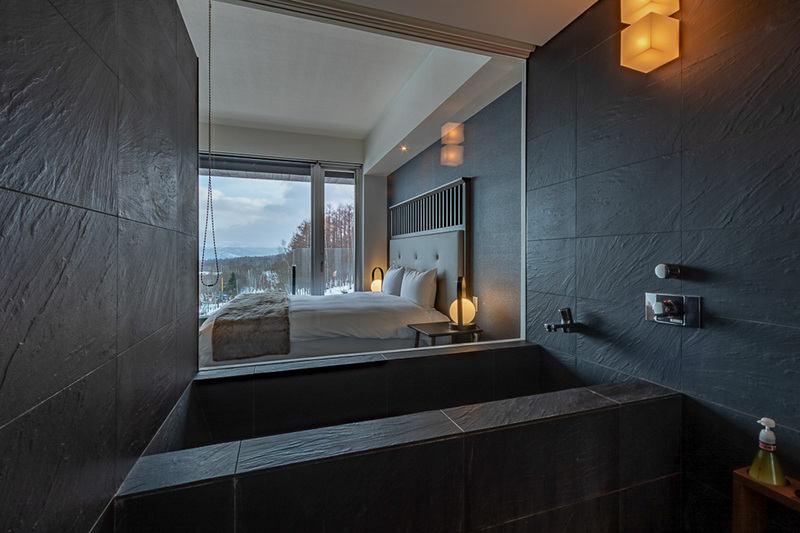 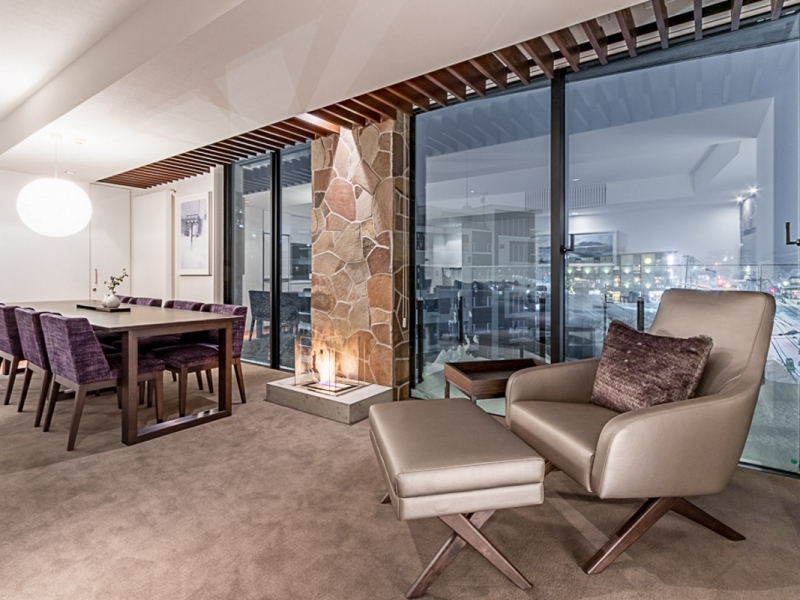 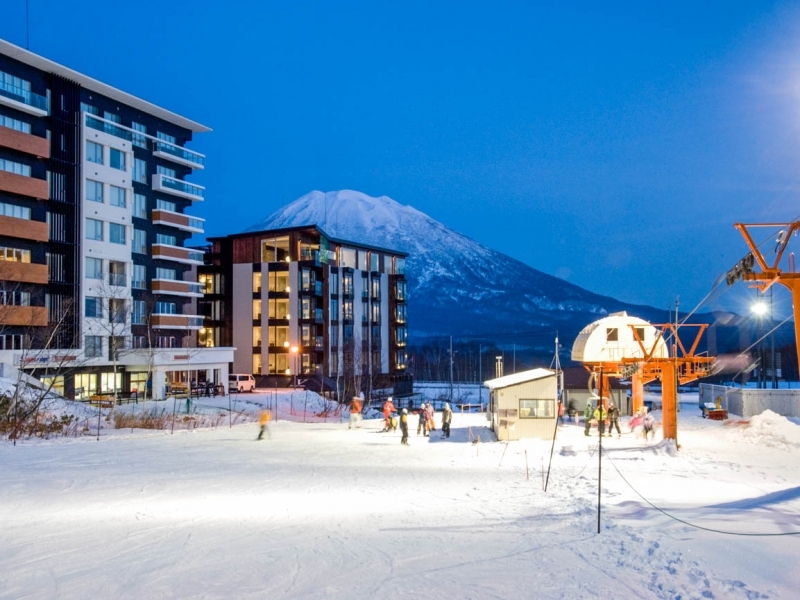 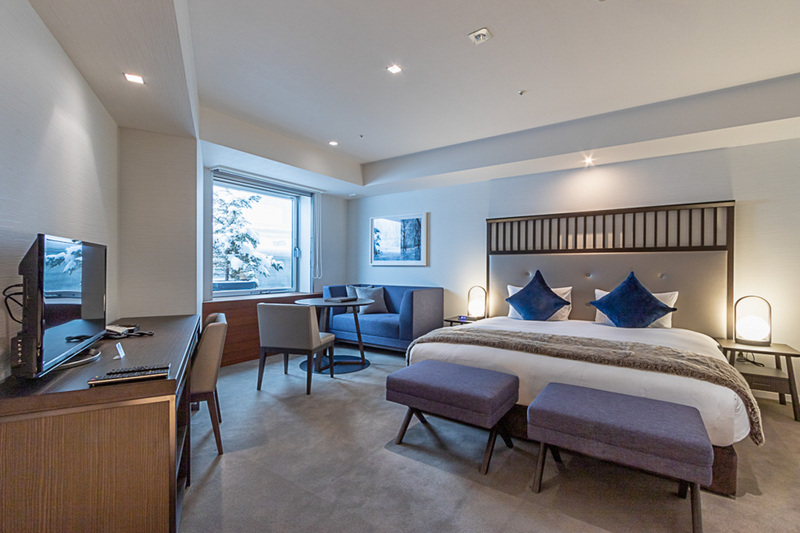 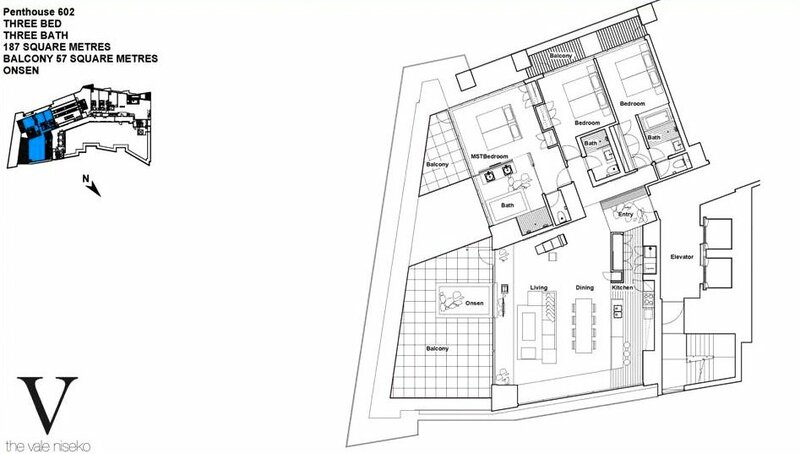 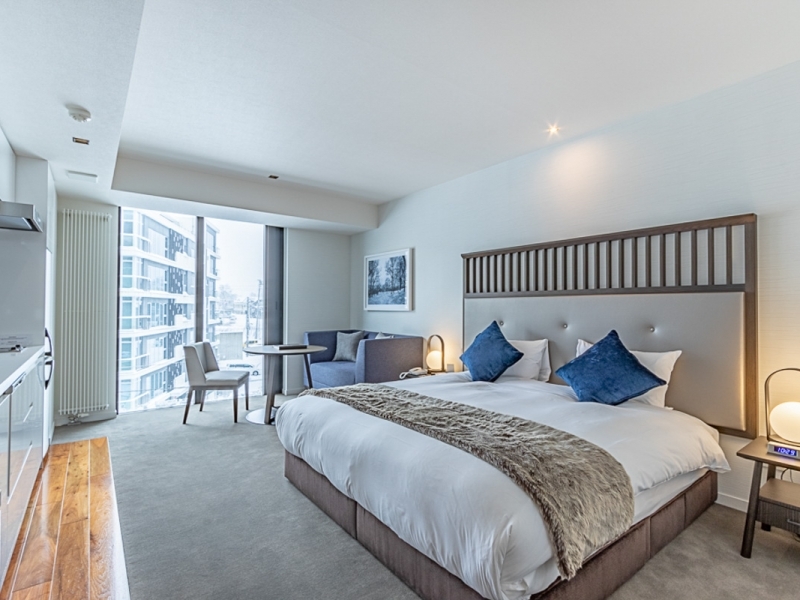 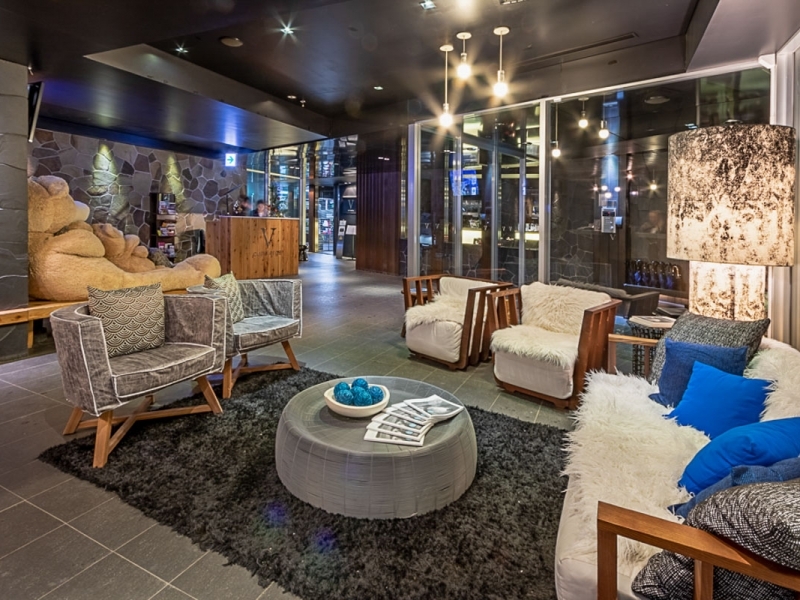 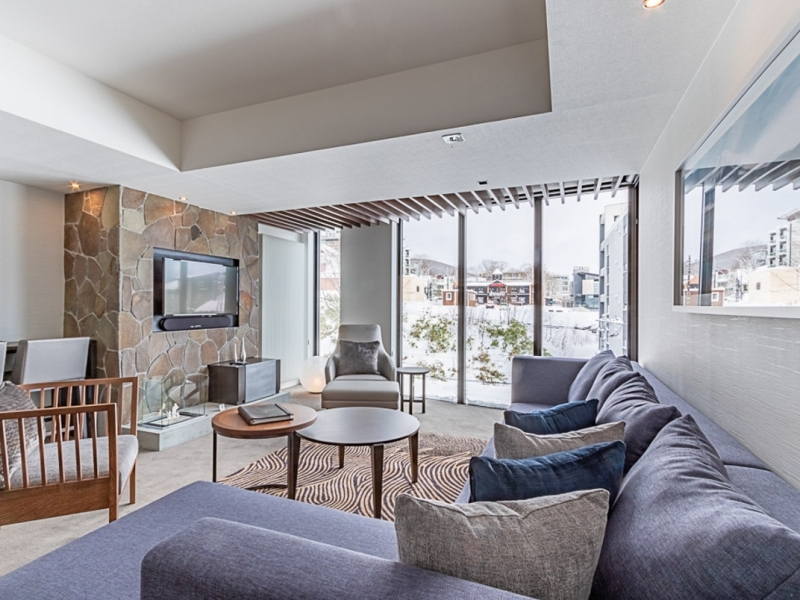 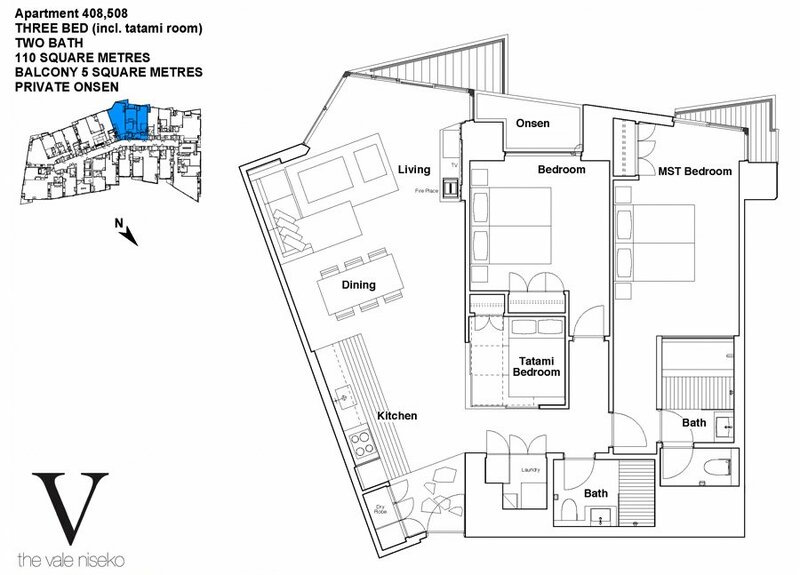 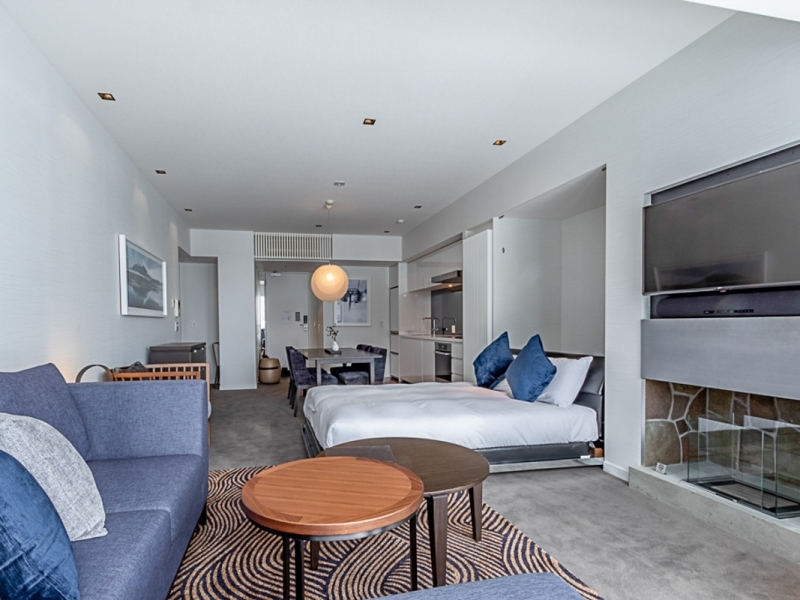 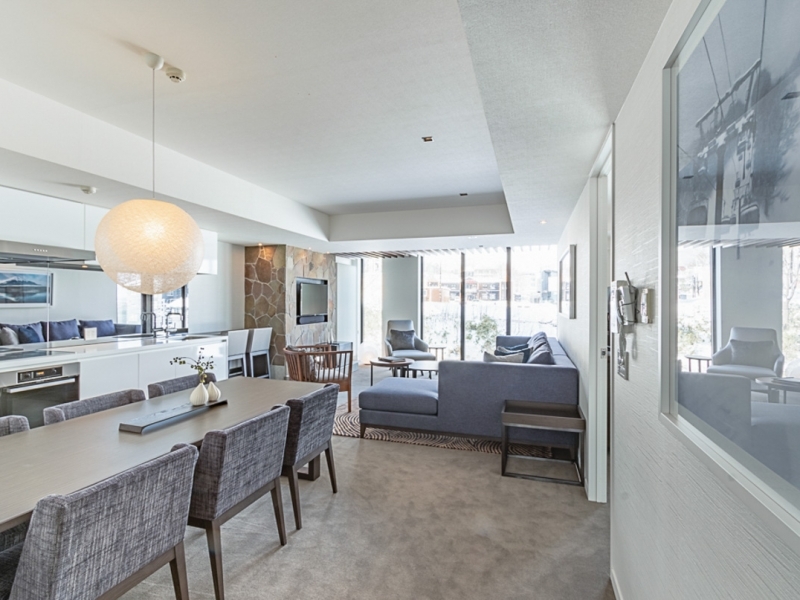 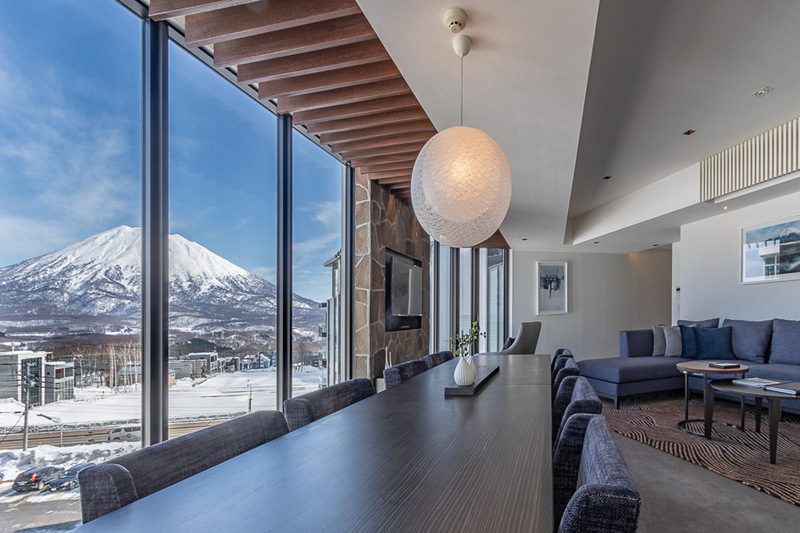 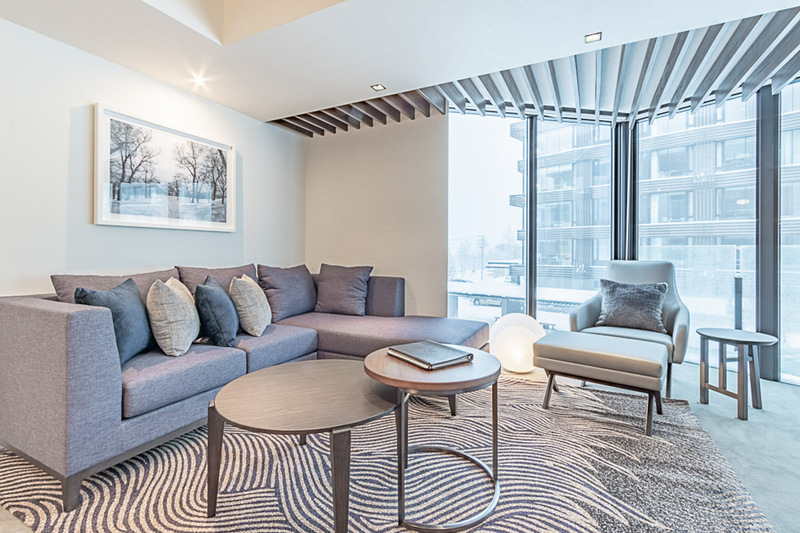 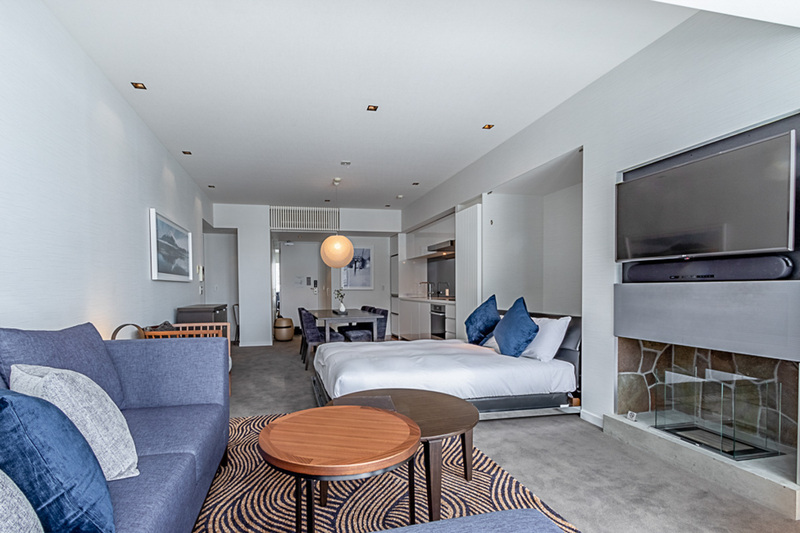 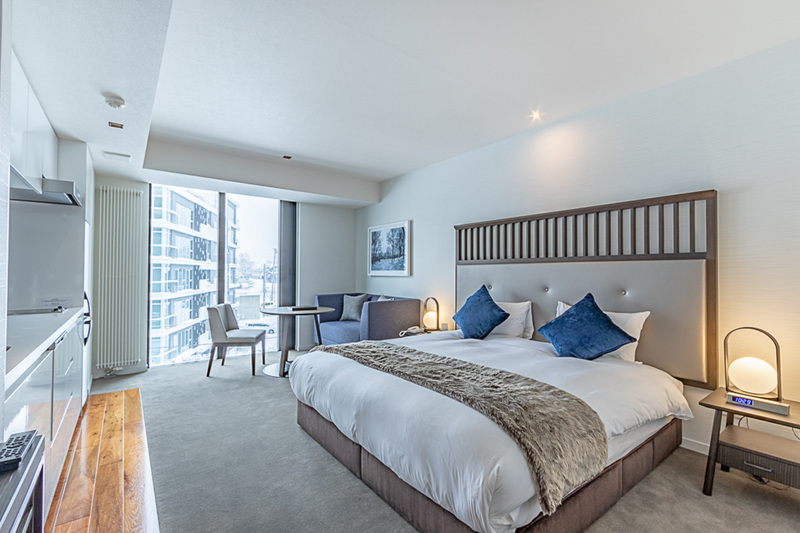 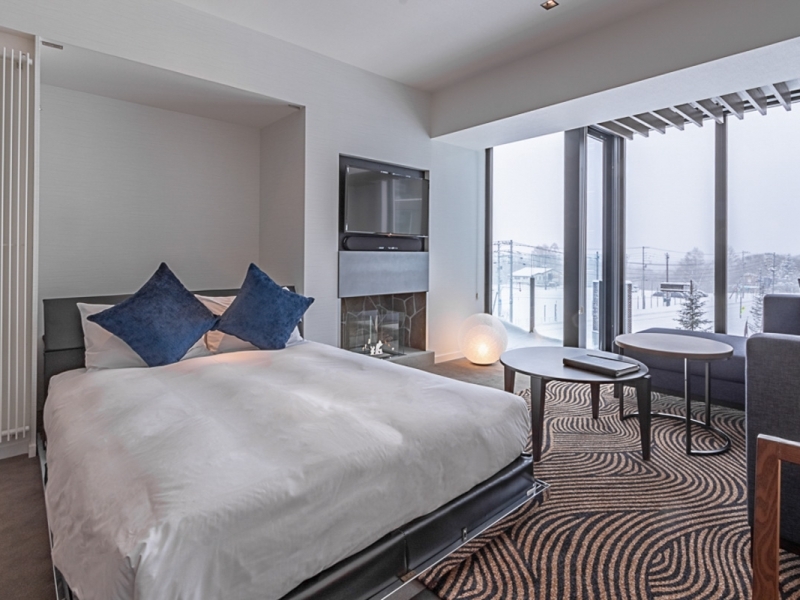 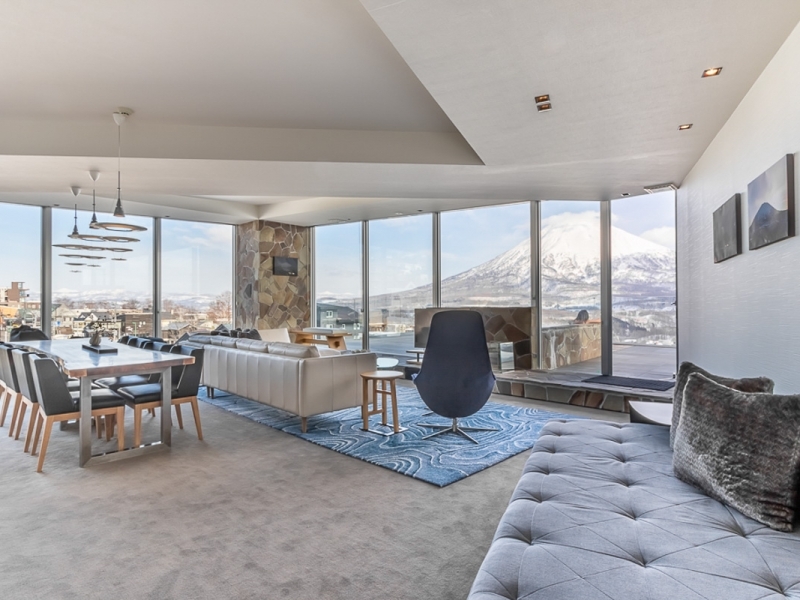 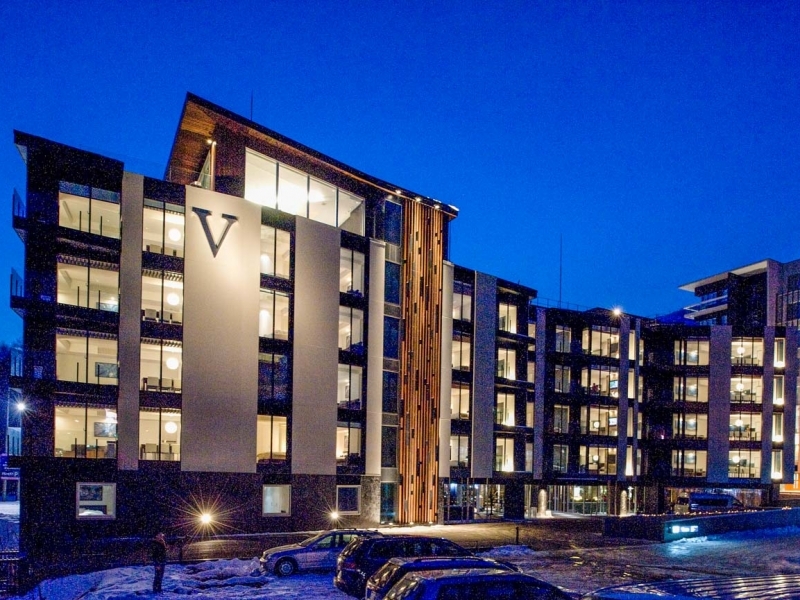 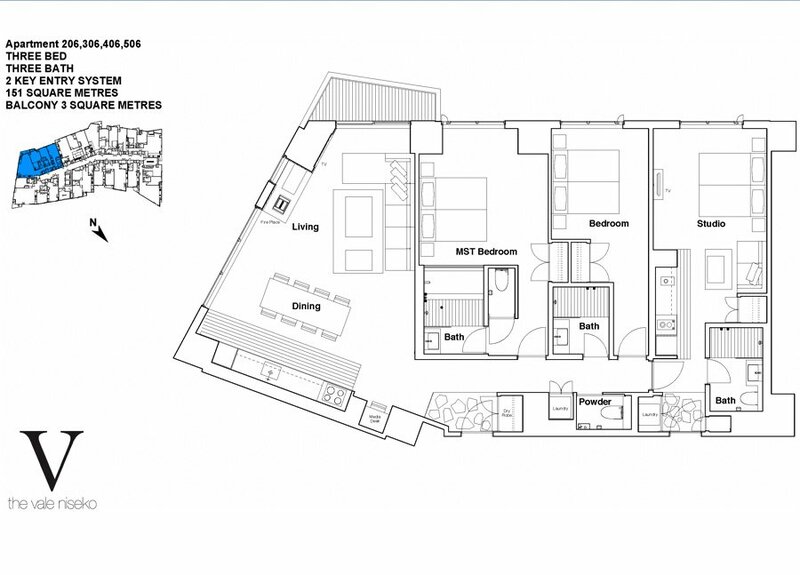 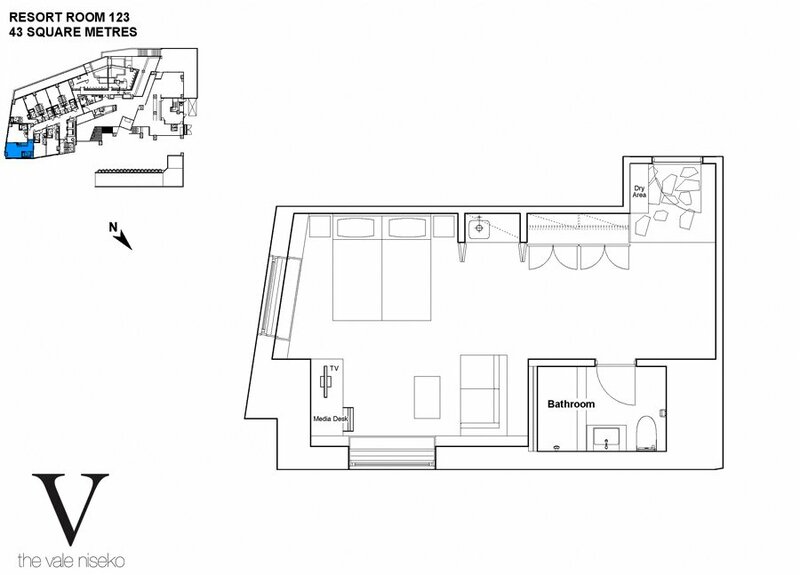 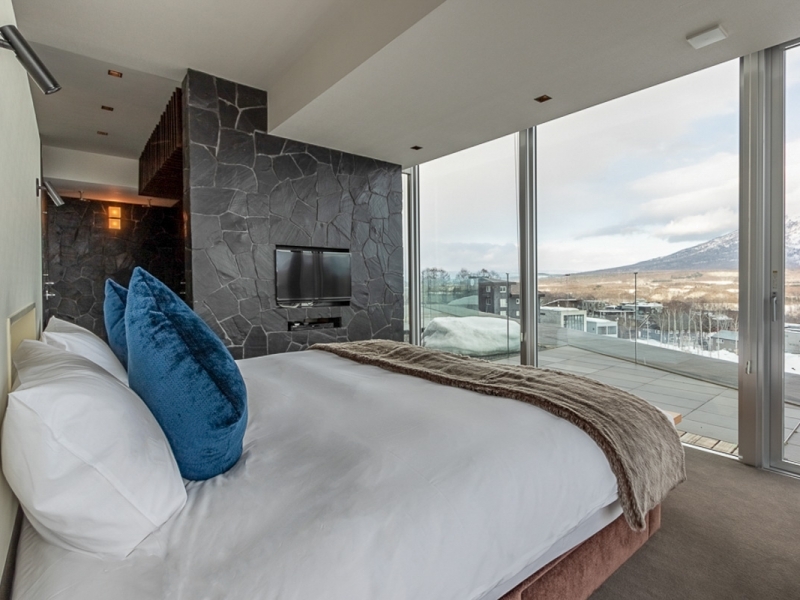 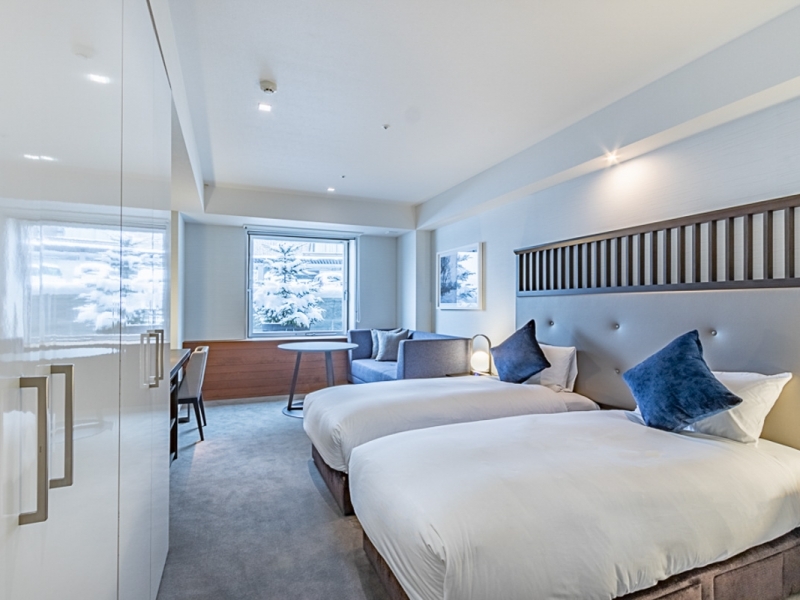 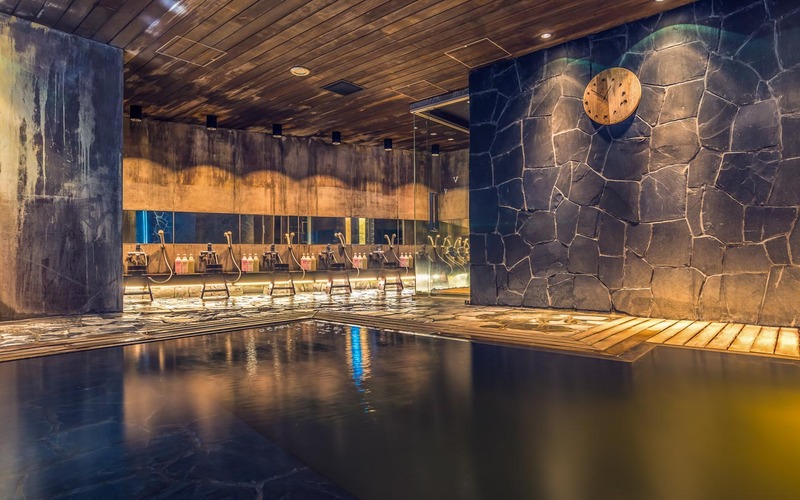 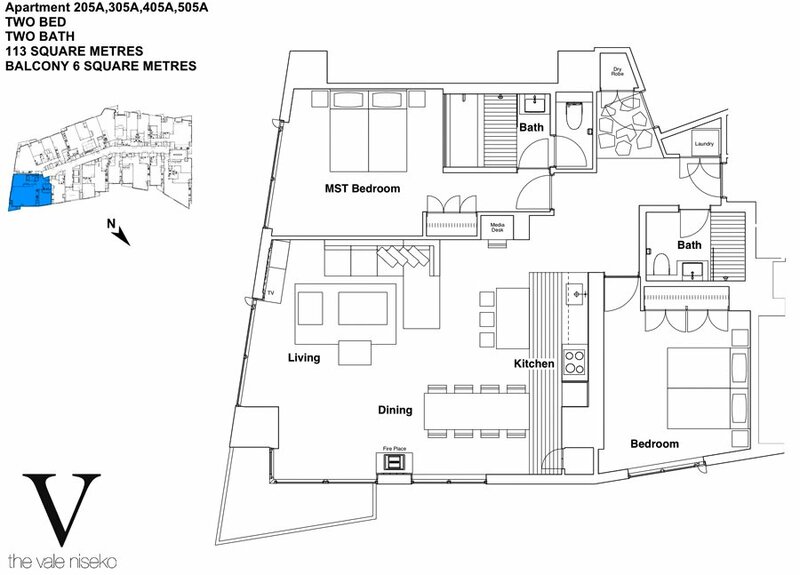 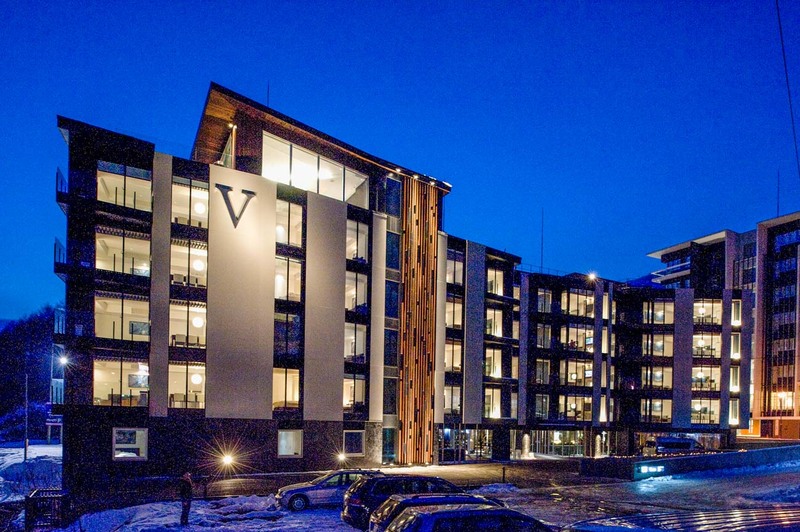 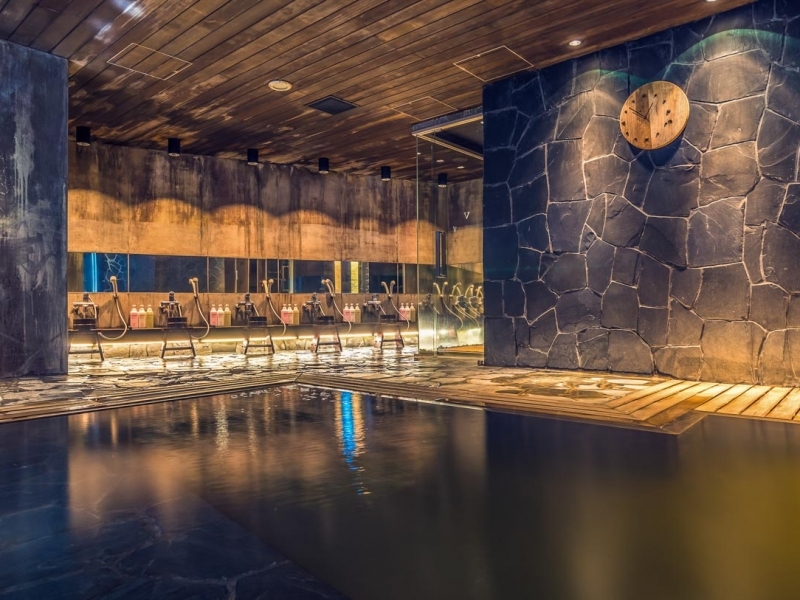 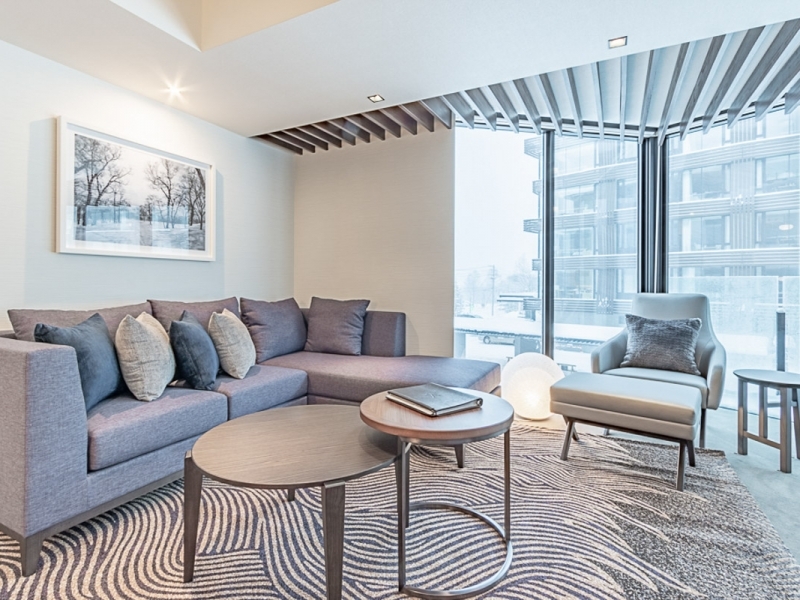 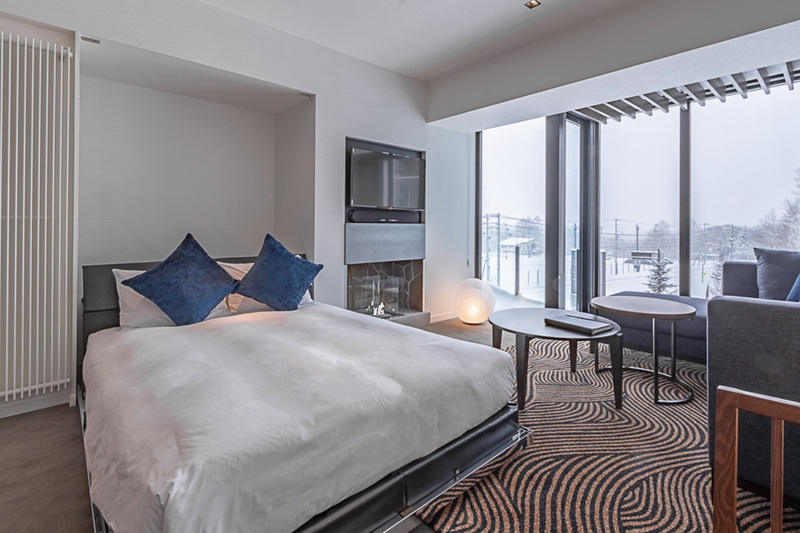 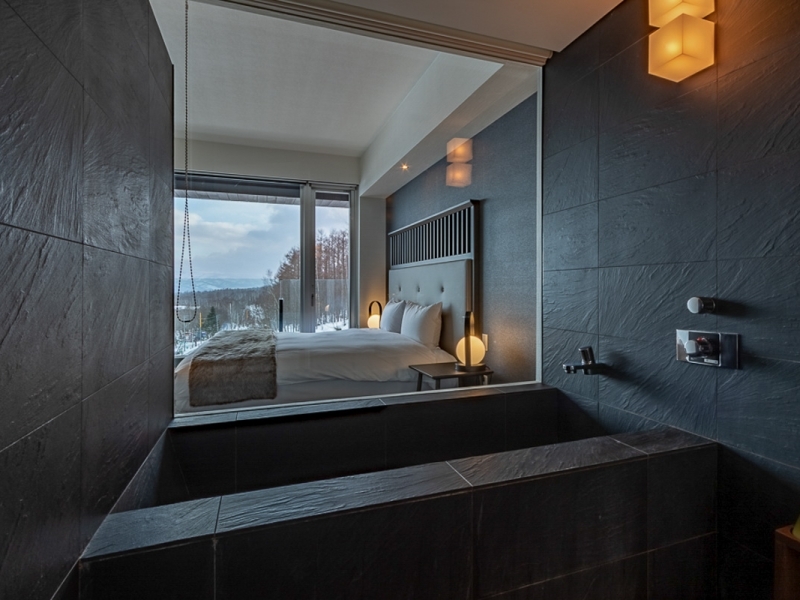 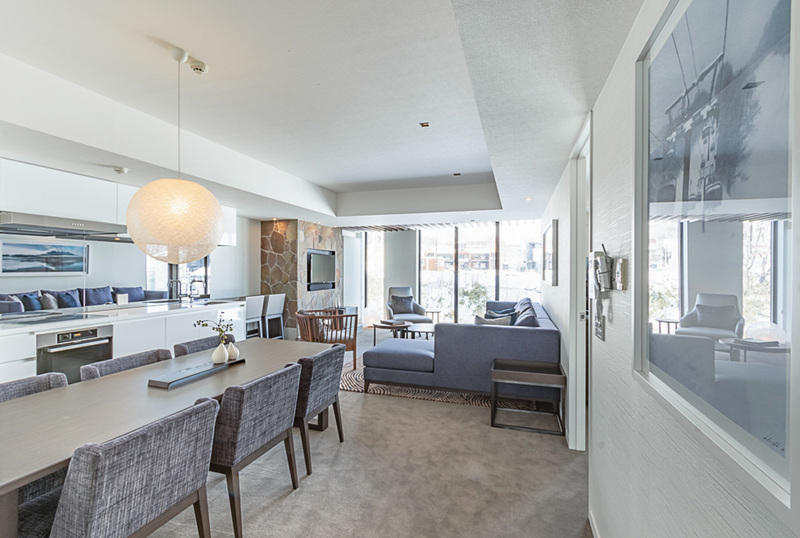 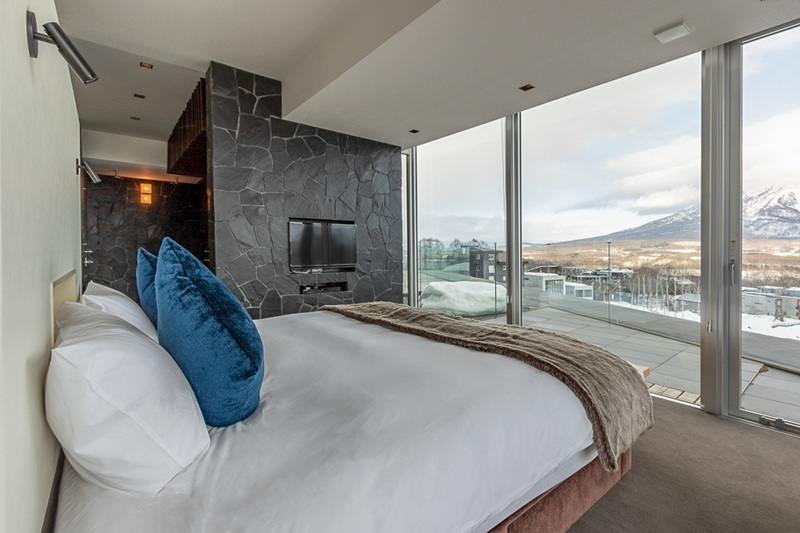 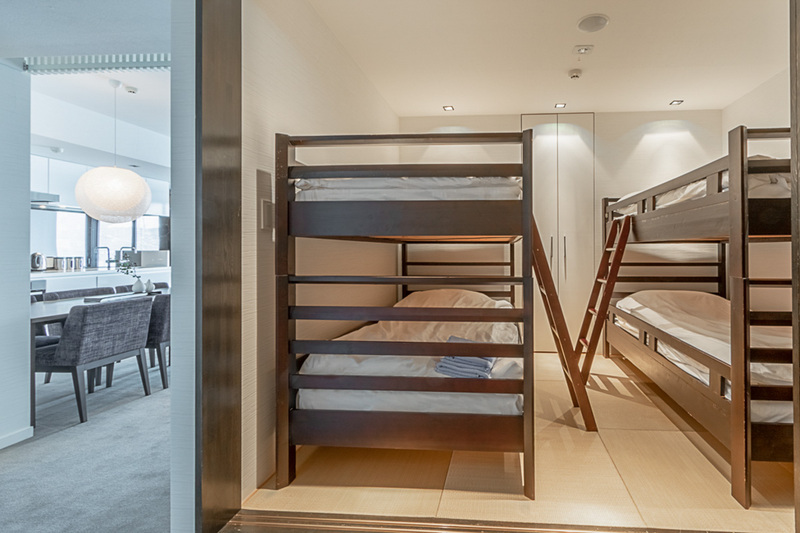 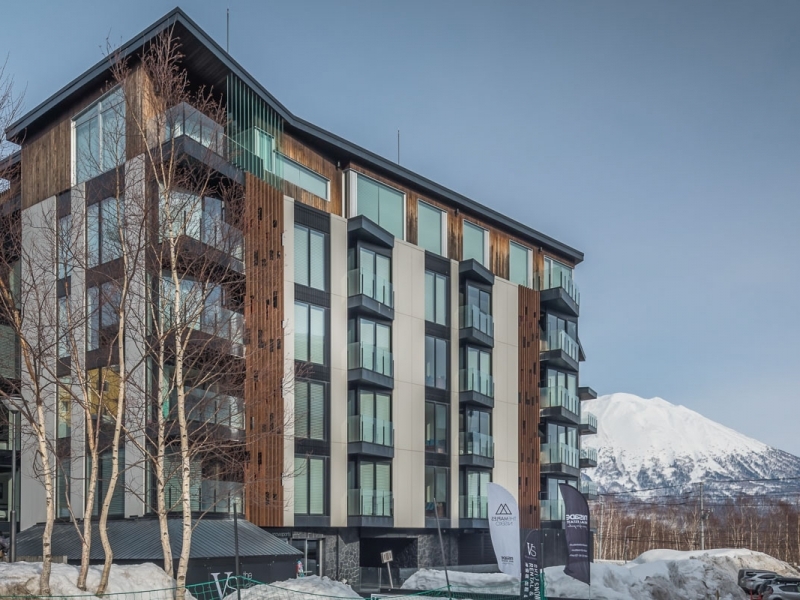 The Vale Niseko provides 49 one, two and three bedroom apartments, and five-star hotel rooms. 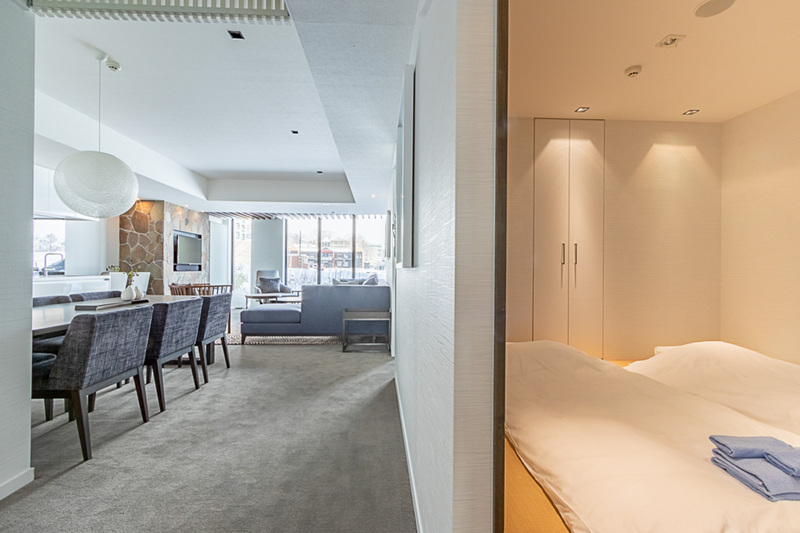 Extra beds are futon mattresses that can be laid on the floor in traditional tatami (woven-straw mat) rooms or in living areas. 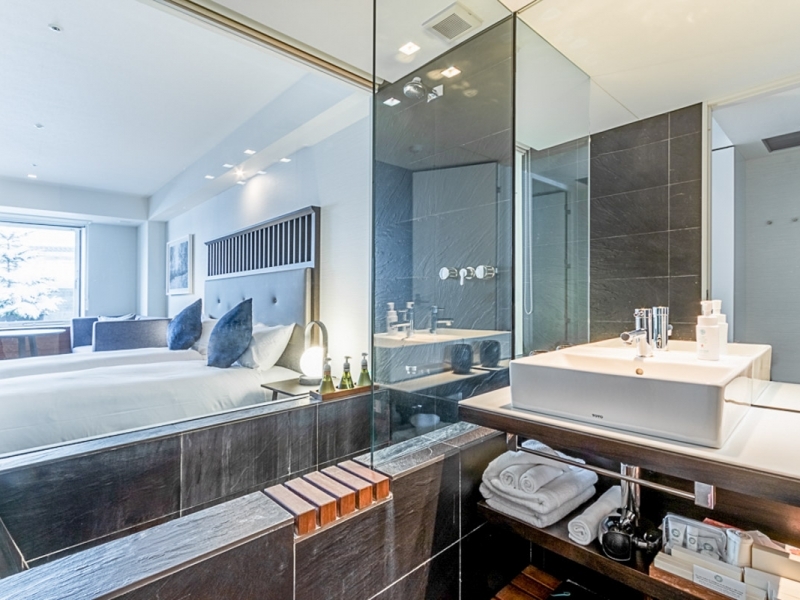 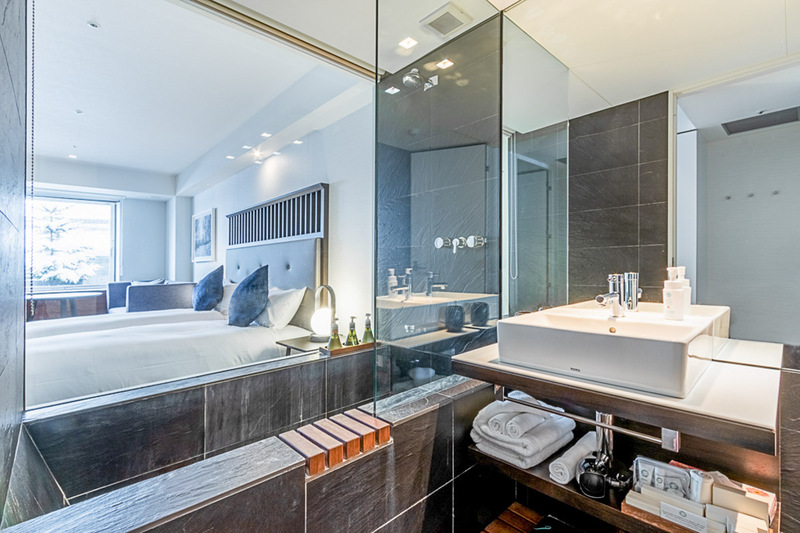 All rooms have designer bathrooms featuring stone and hardwood timbers. 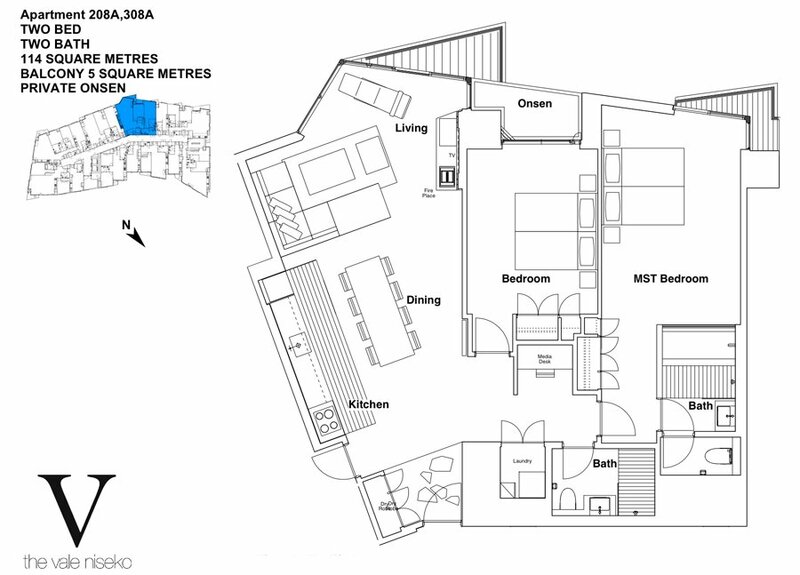 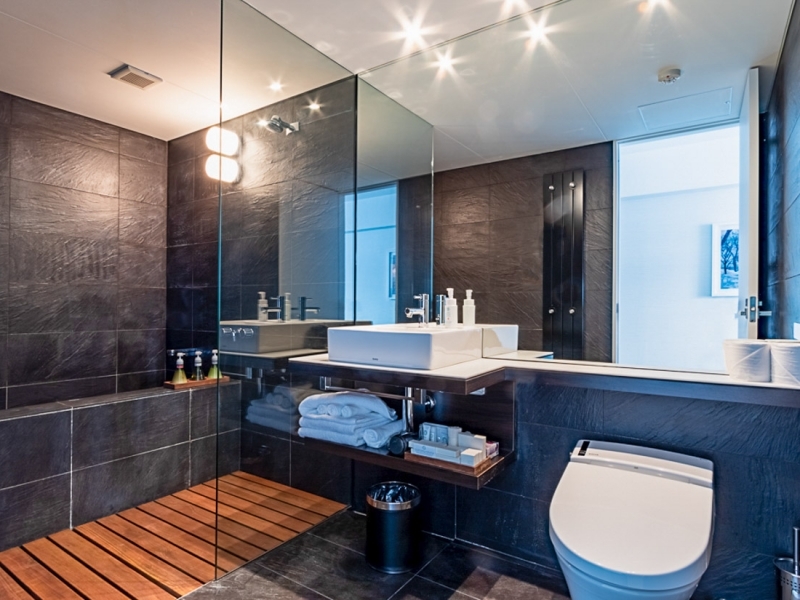 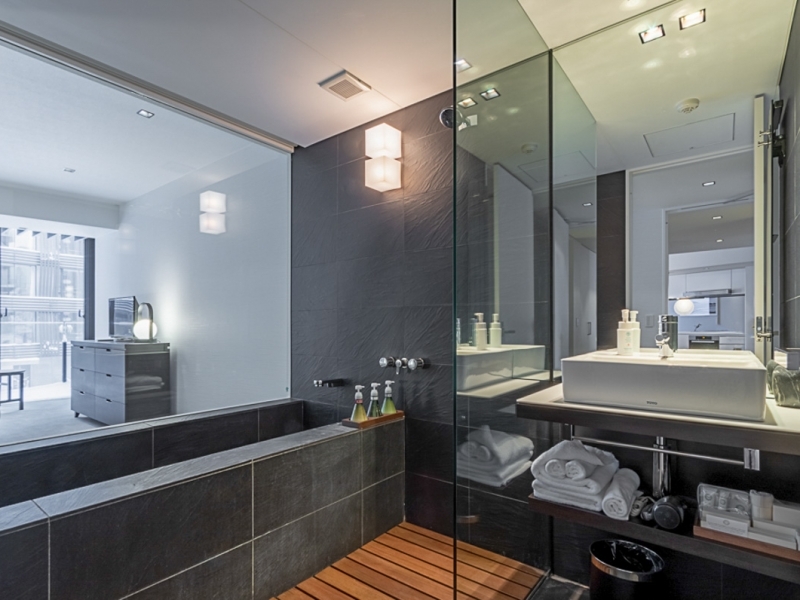 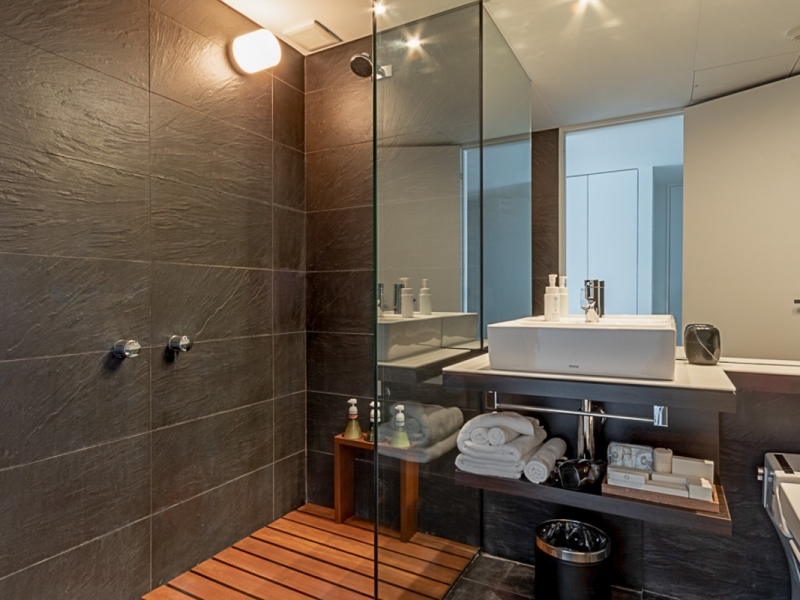 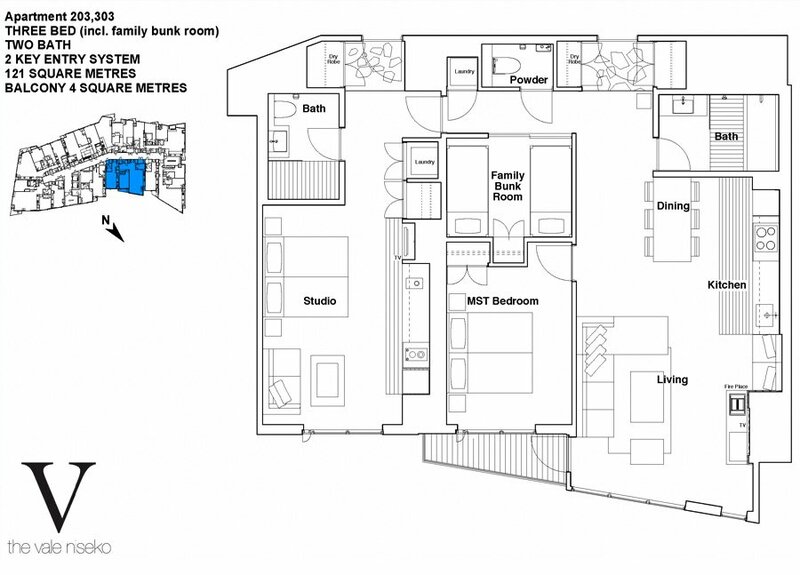 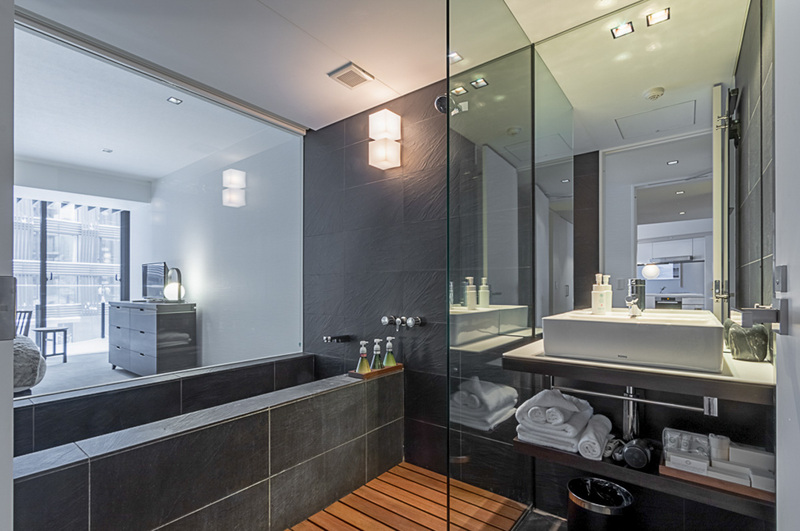 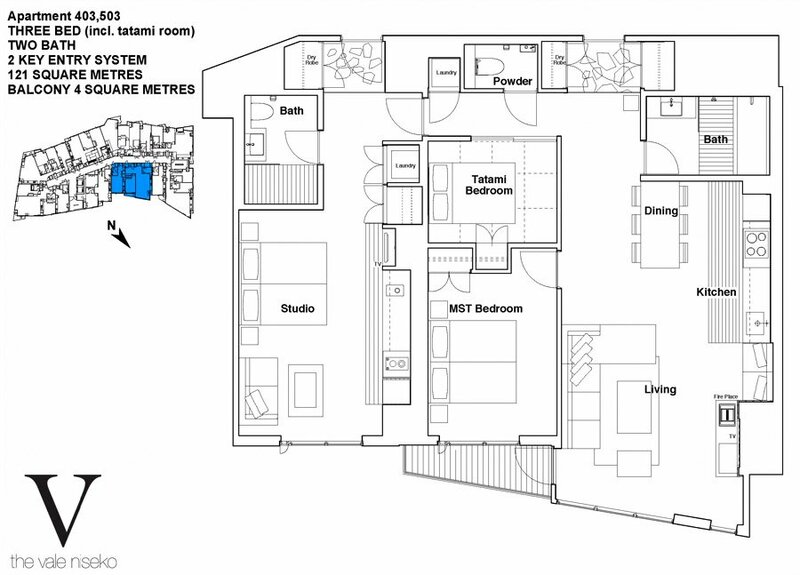 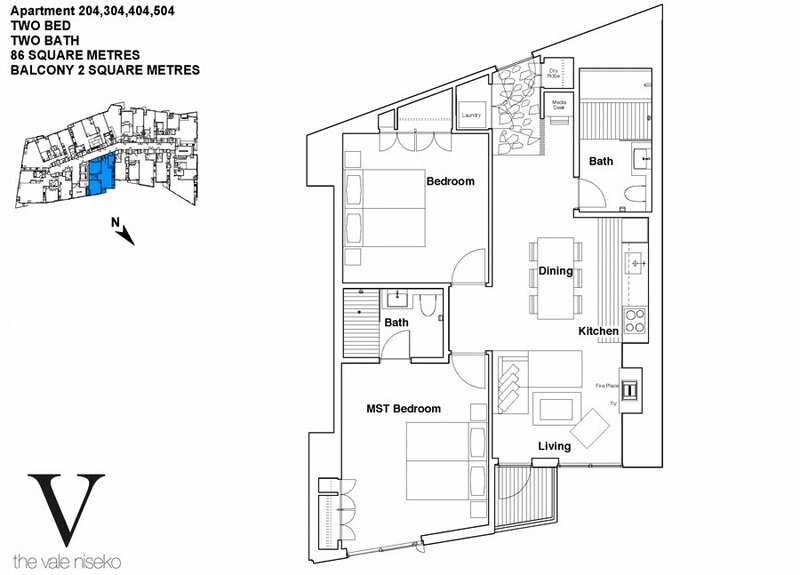 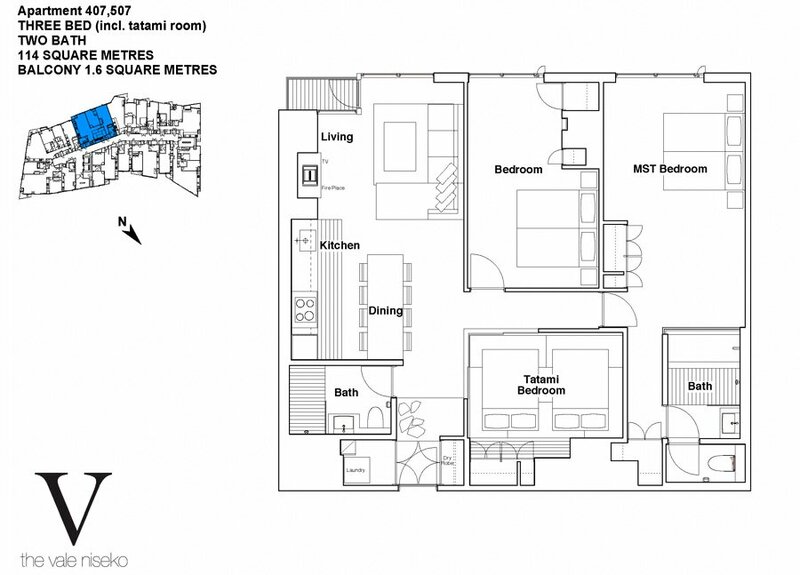 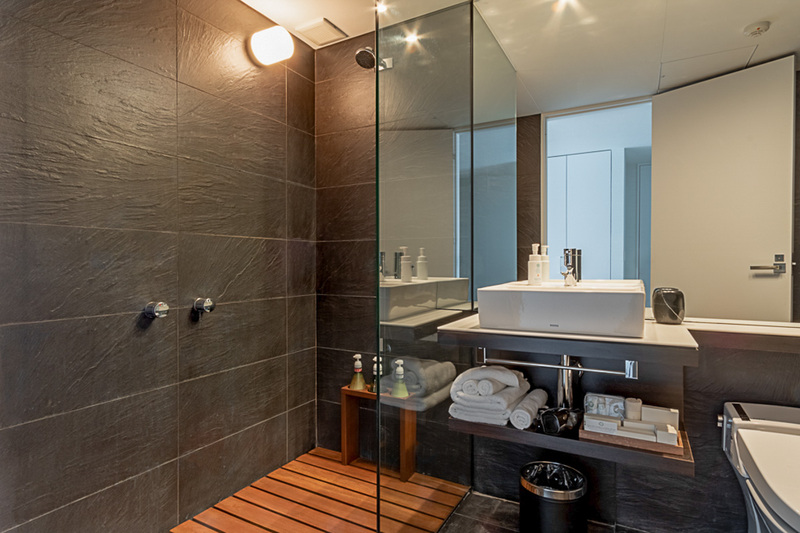 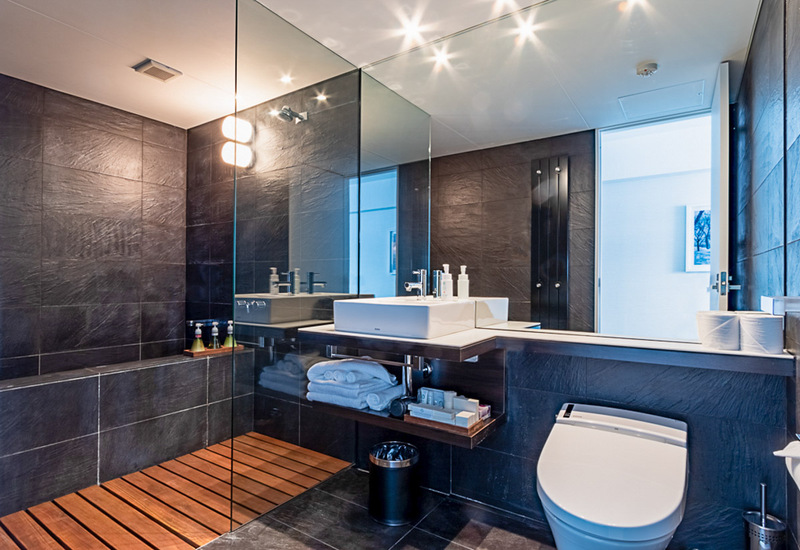 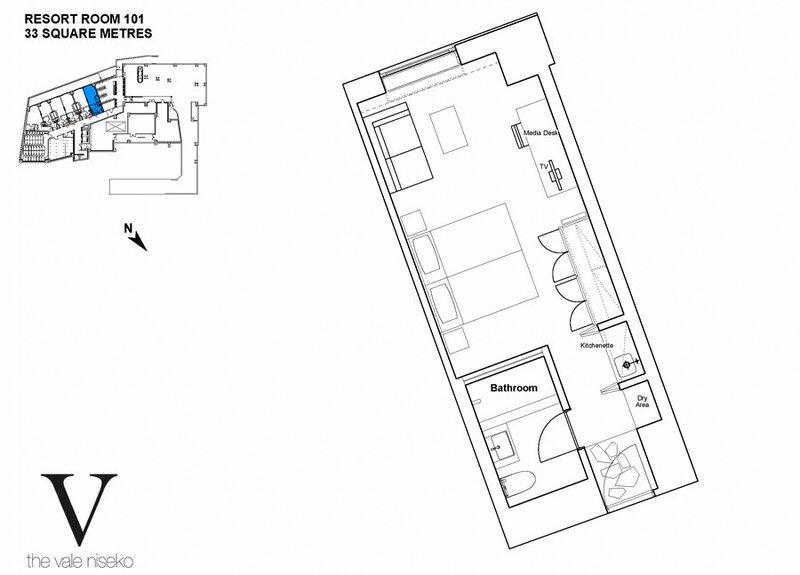 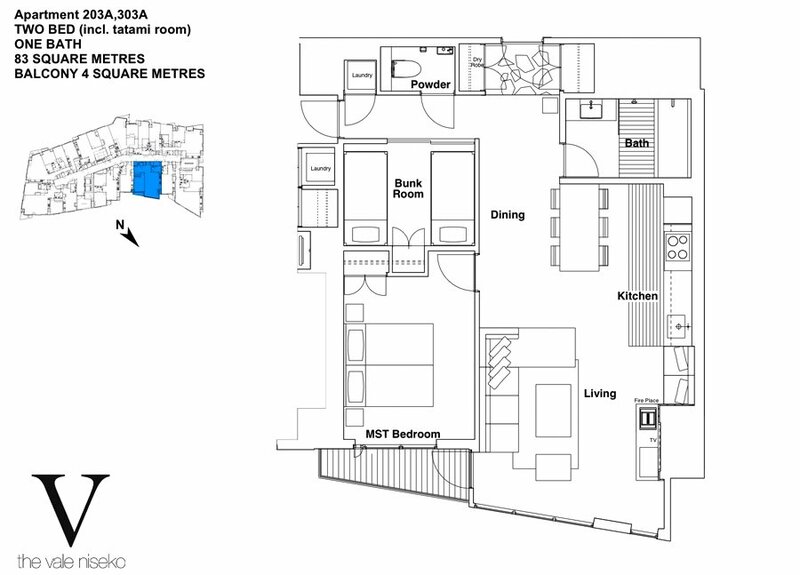 There are a number of different bathroom configurations in each apartment size, most with at least one ensuite. 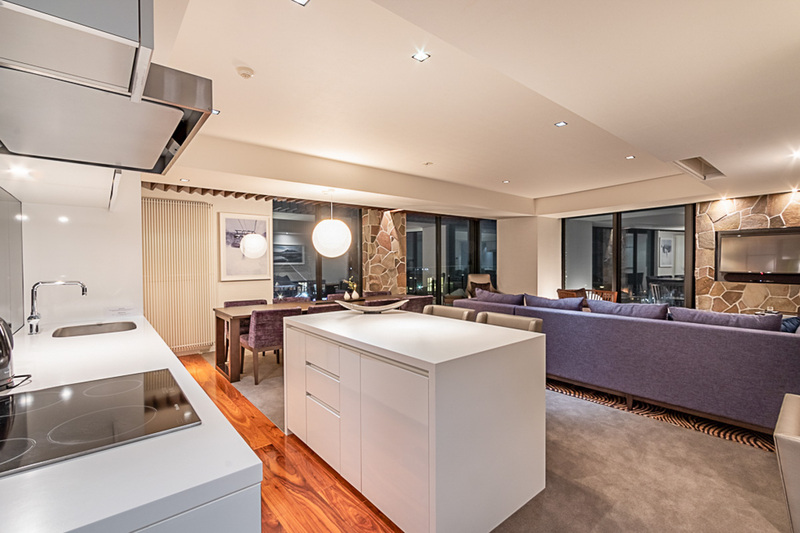 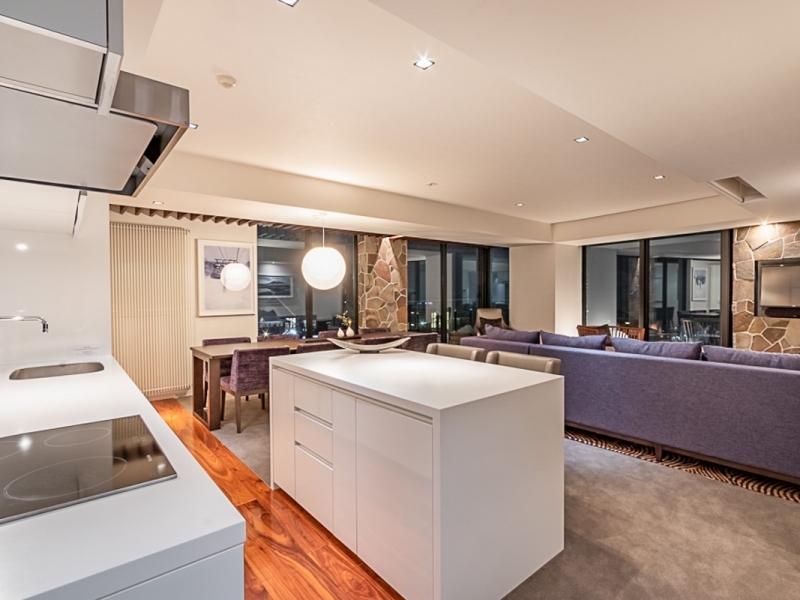 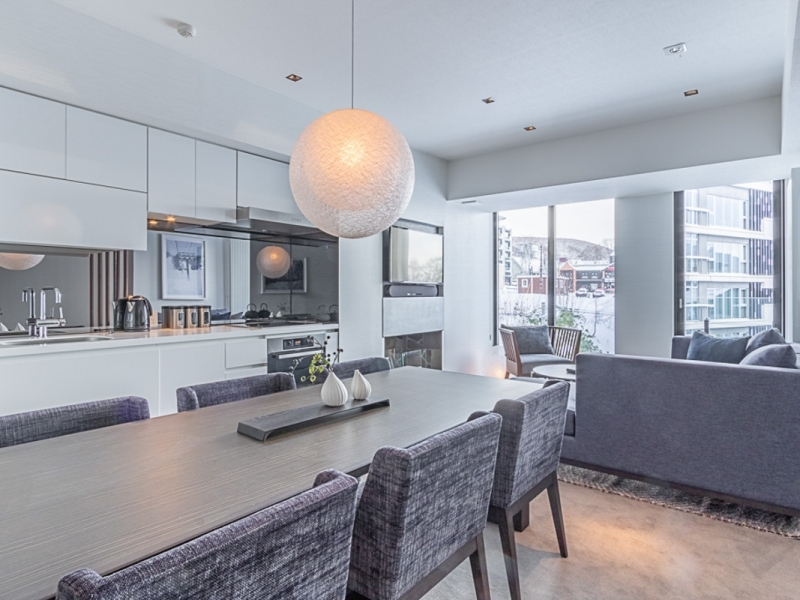 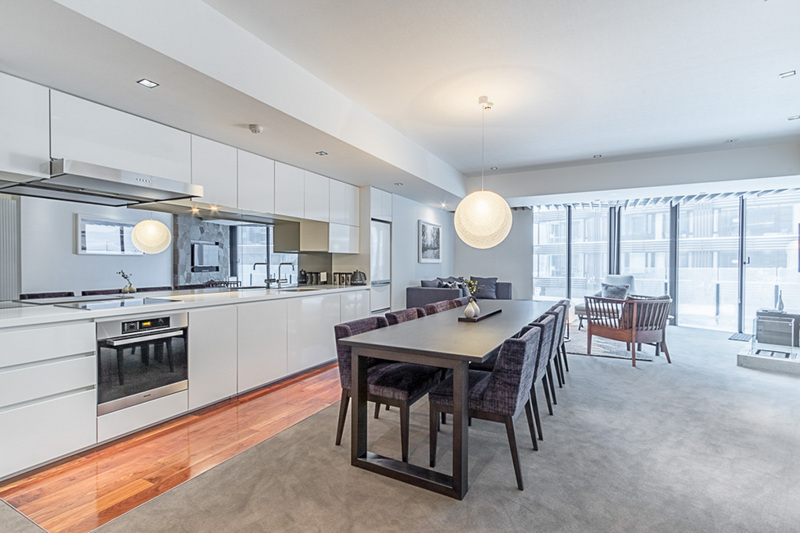 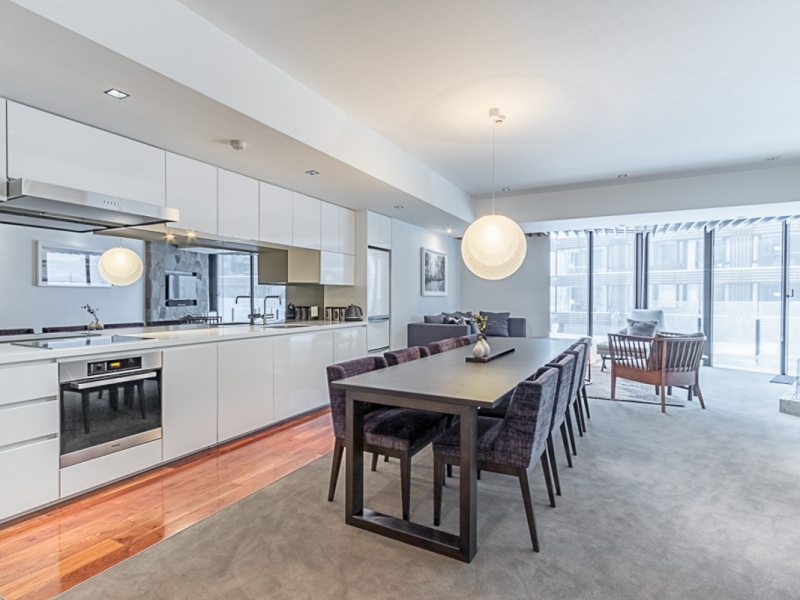 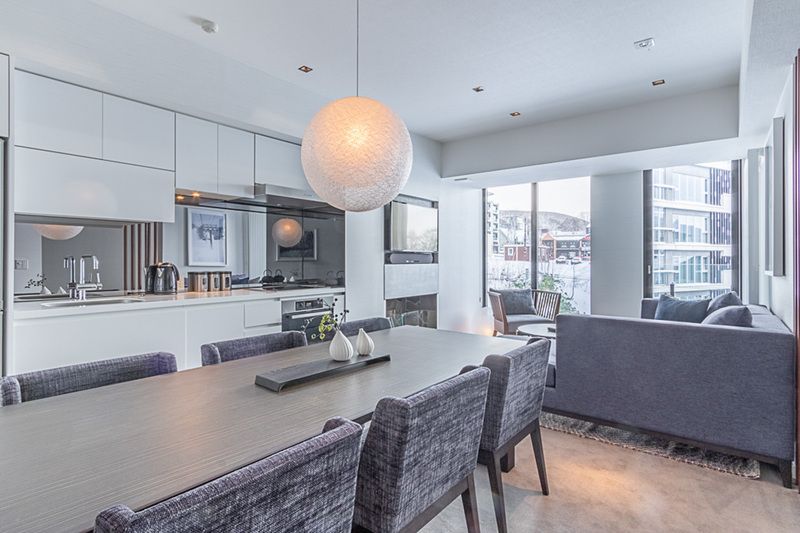 The kitchens are full-featured with high quality European and Japanese appliances including cooktops, ovens, microwaves, dishwashers and fridges, however there is minimal bench space for preparing large meals. 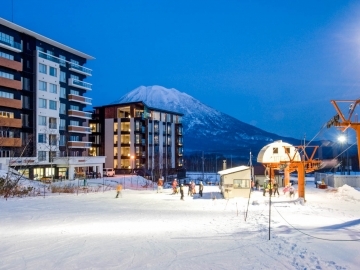 Views are either of the surrounding village, Mt Yotei, or the ski slope and forest and prices vary based on that premise. 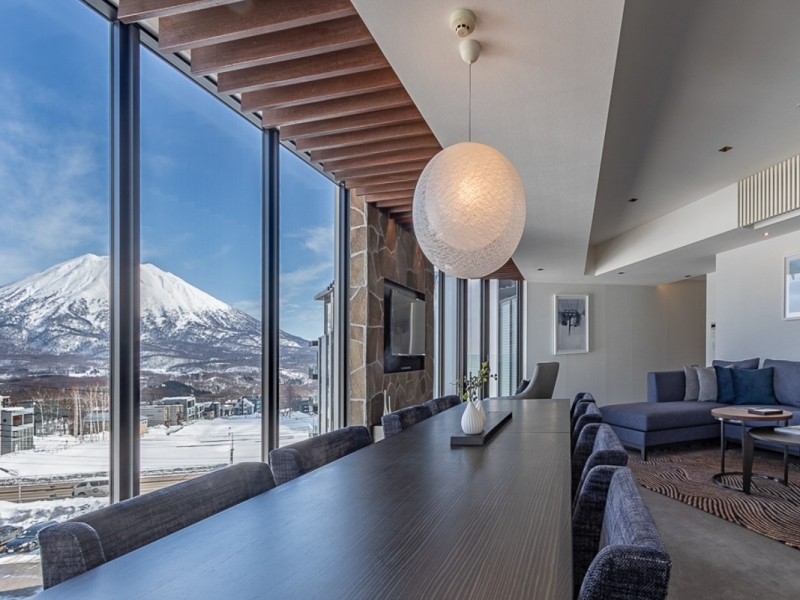 Mt Yotei views attract a higher price with ski mountain views attracting top dollar.